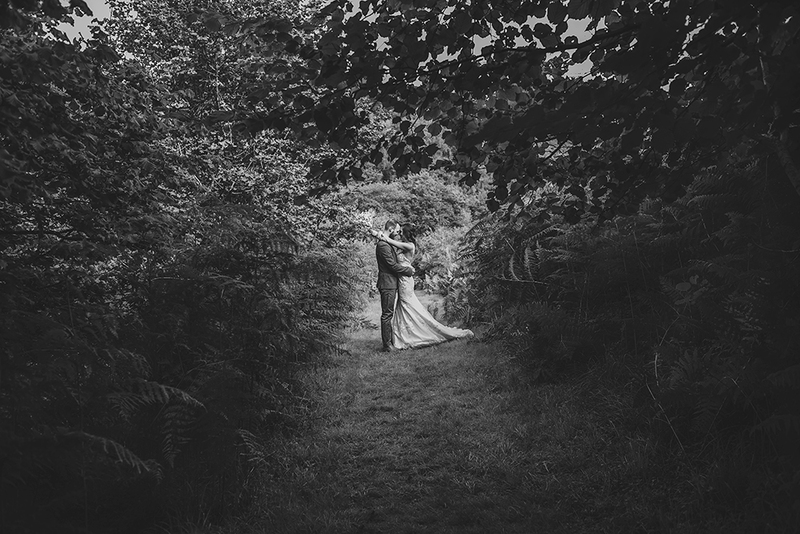 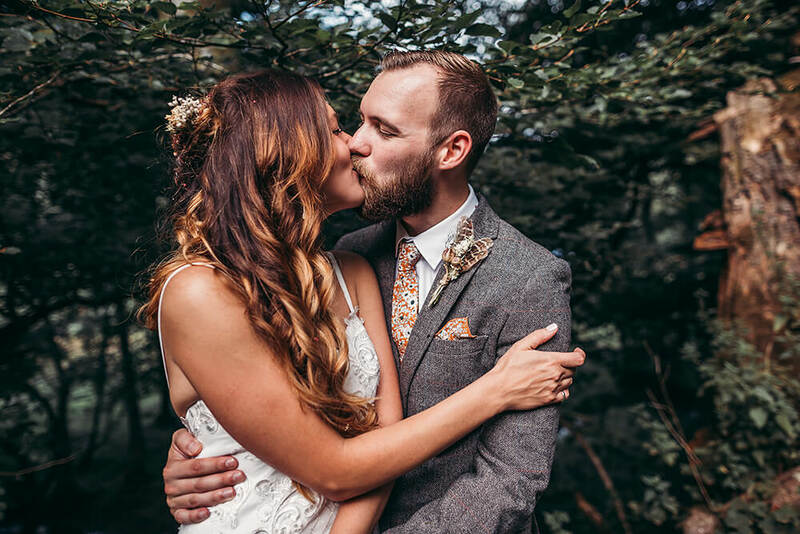 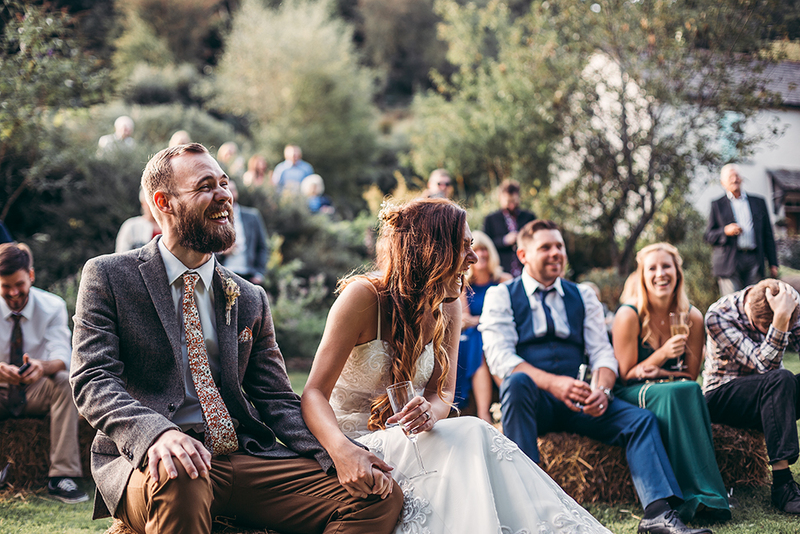 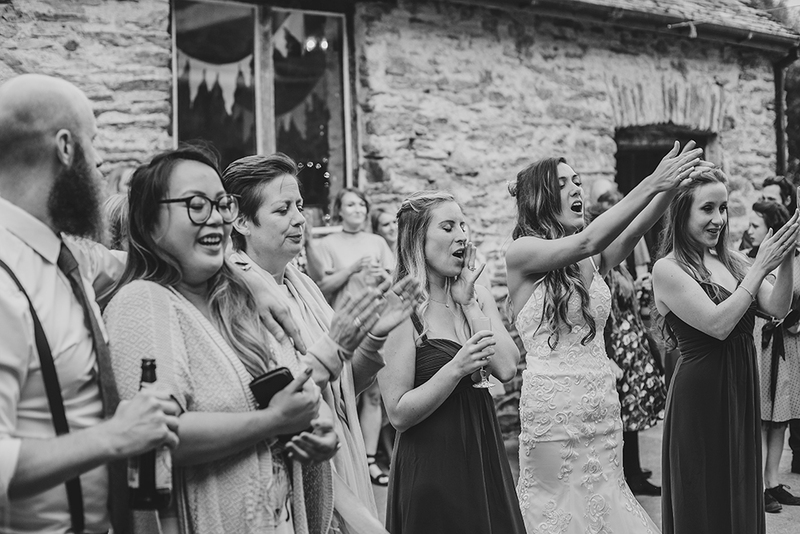 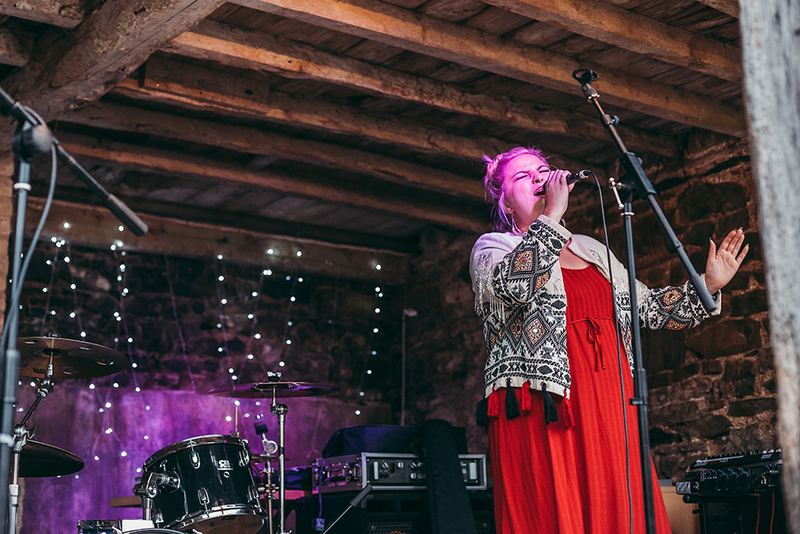 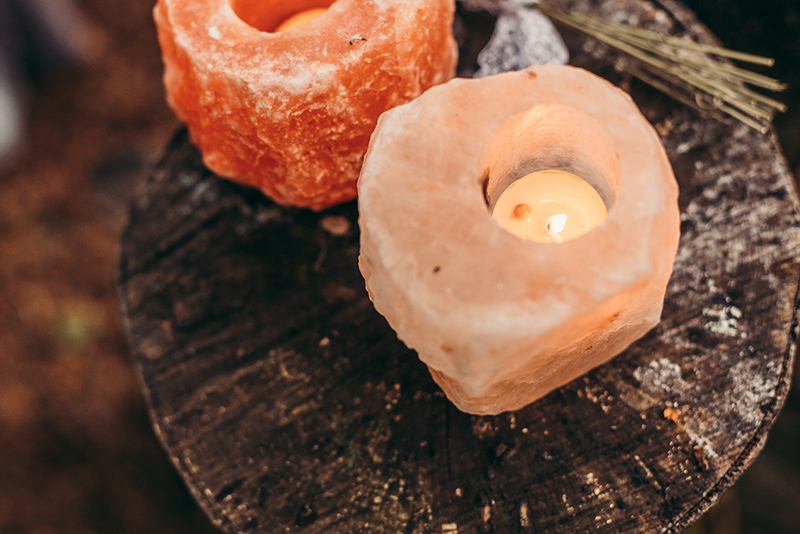 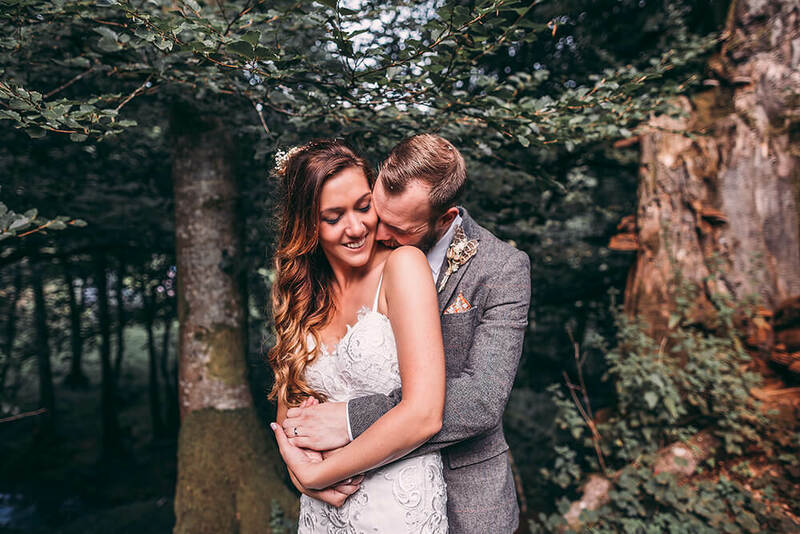 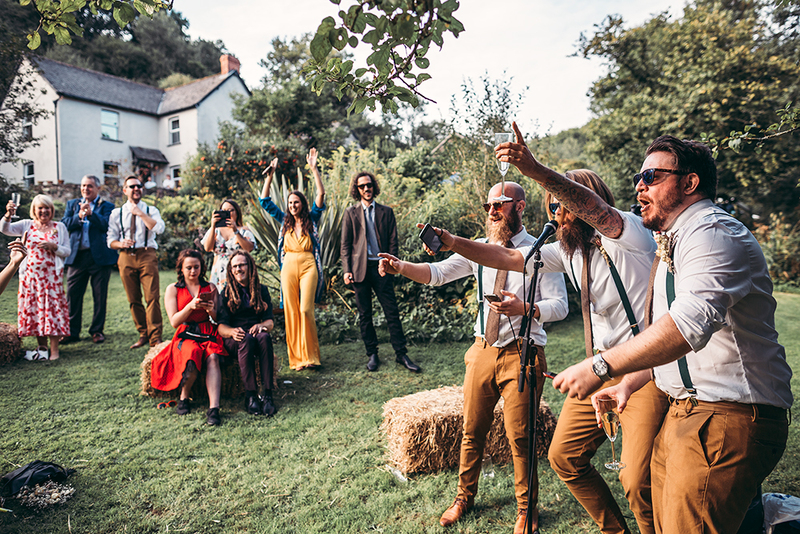 Earlier this month I had the pleasure of photographing James and Steph’s woodland celebration at Streamcombe Farm in Dulverton, which is situated on the border of West Somerset, North Devon and Exmoor National Park. 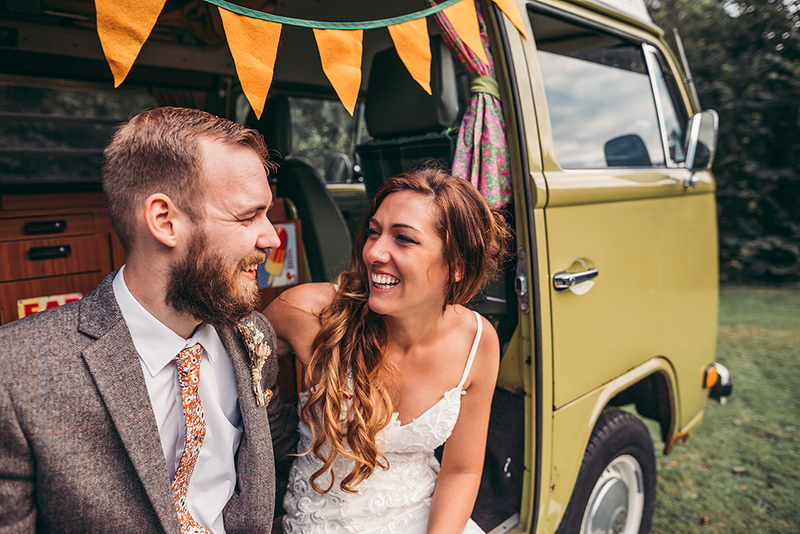 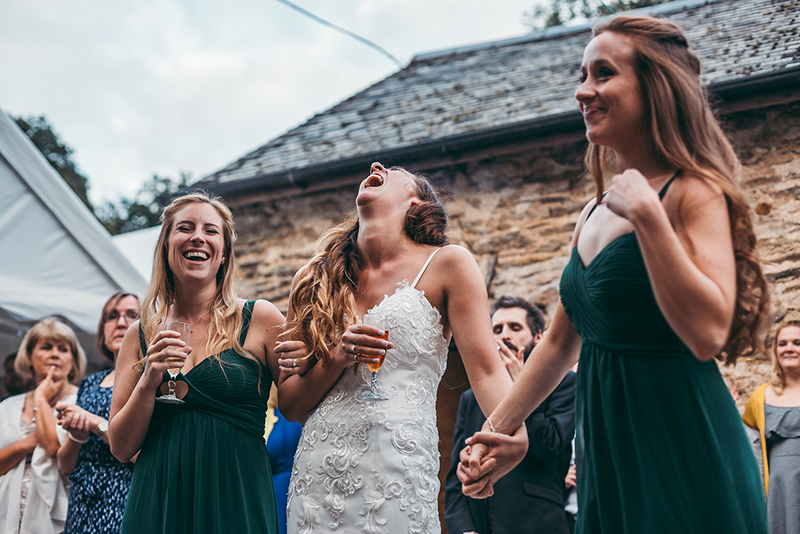 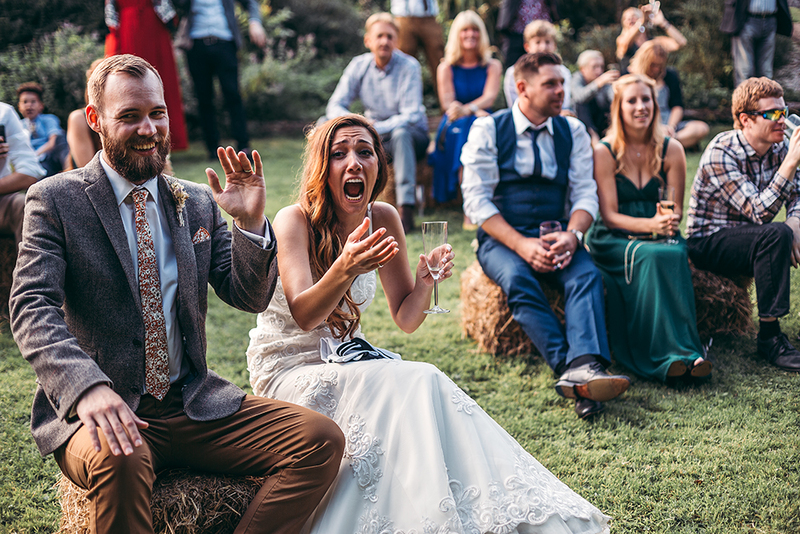 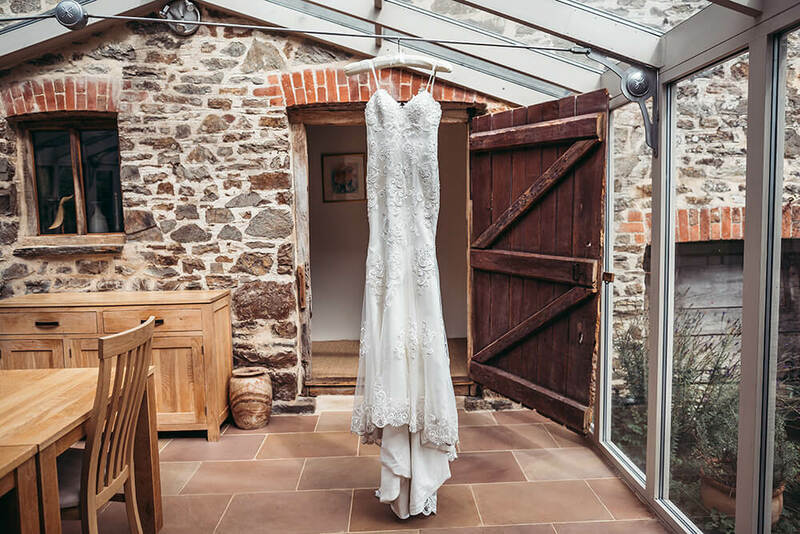 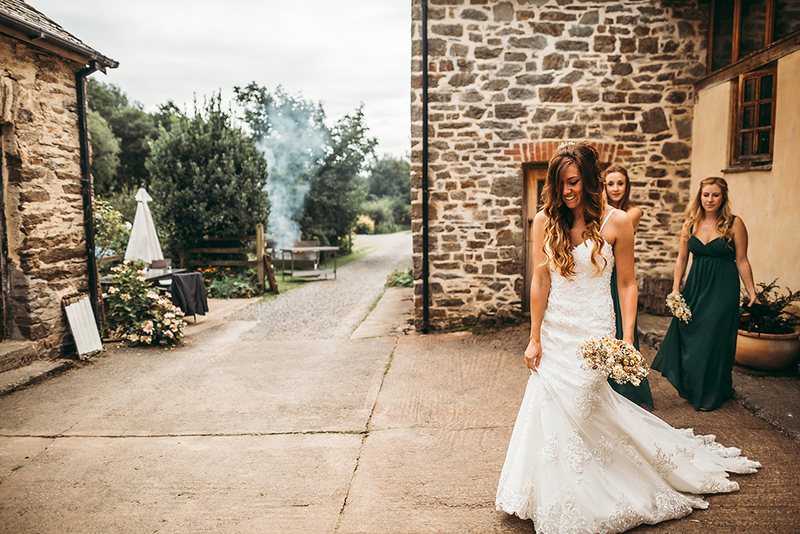 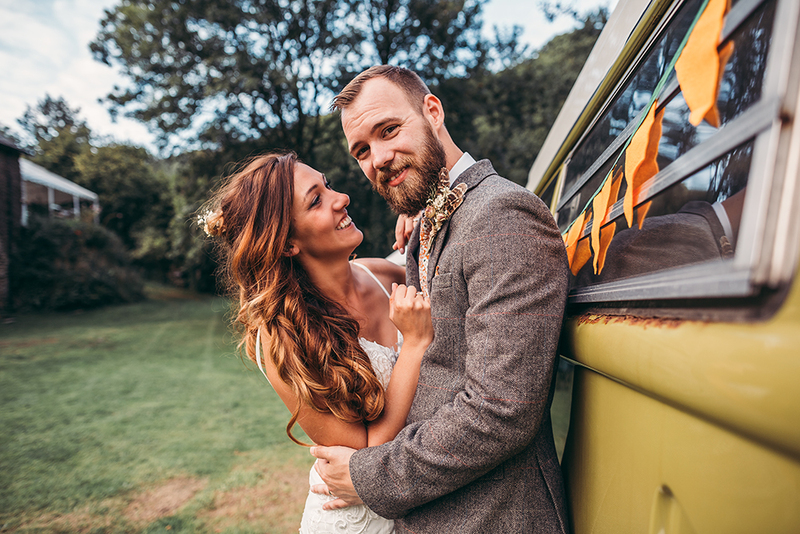 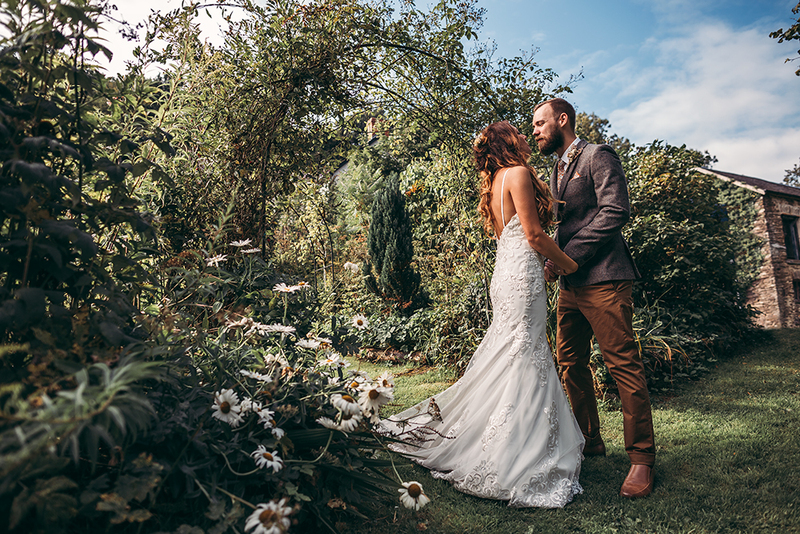 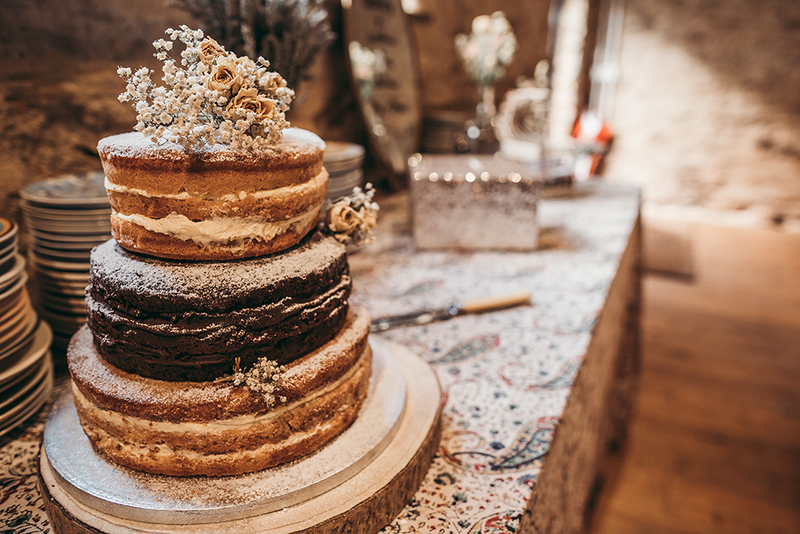 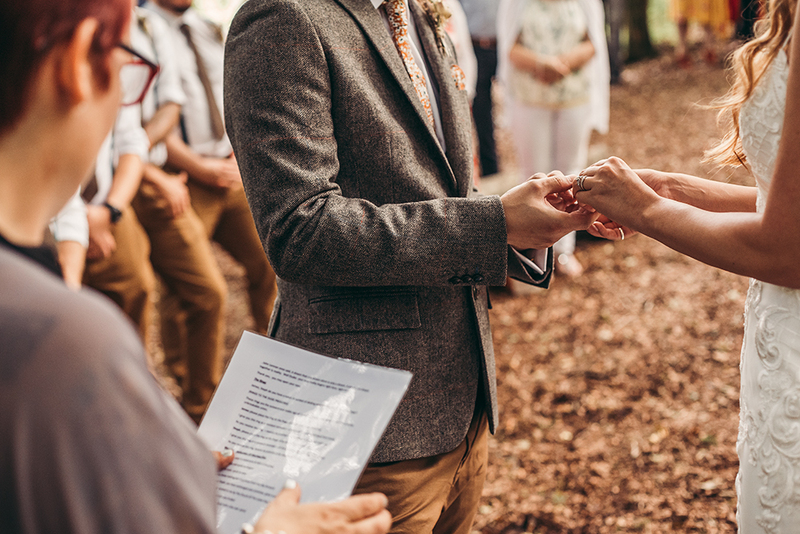 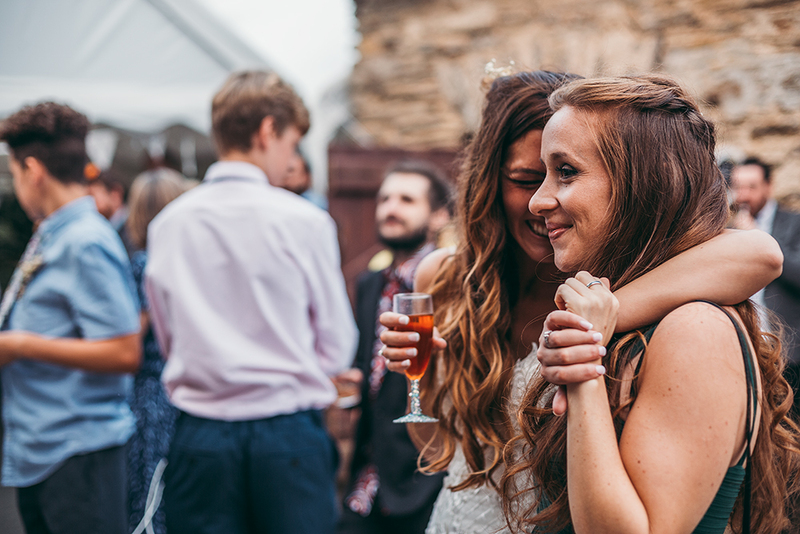 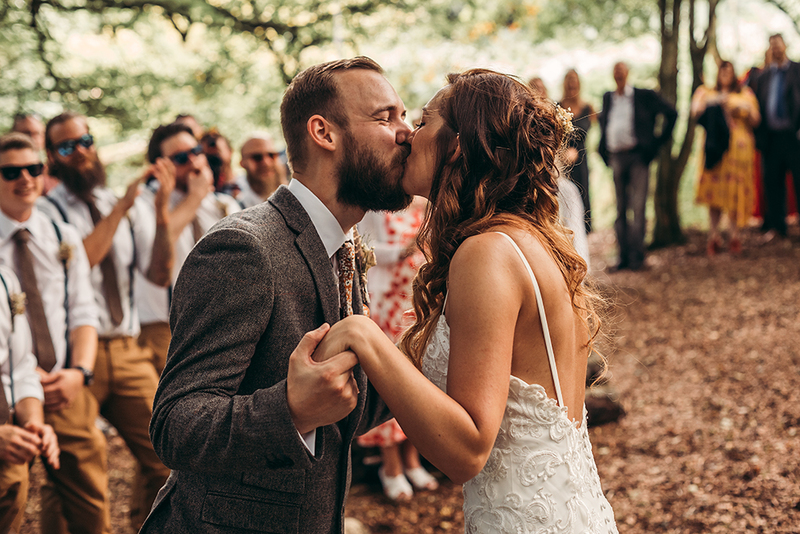 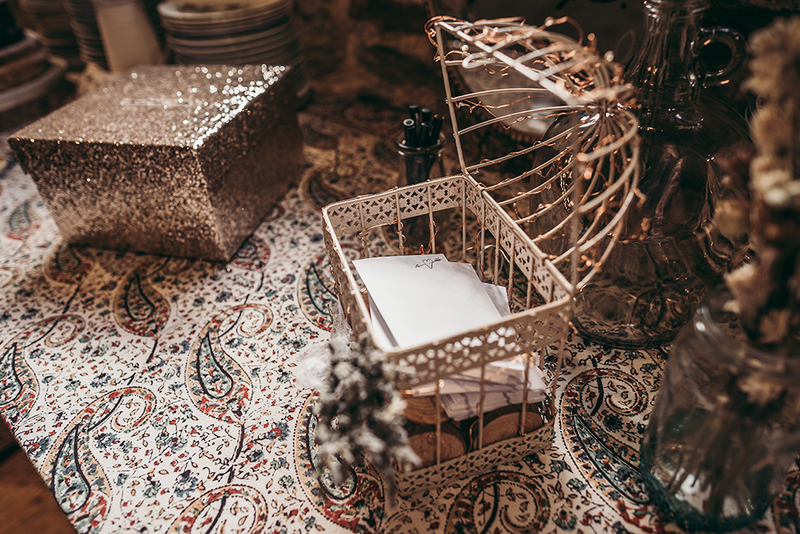 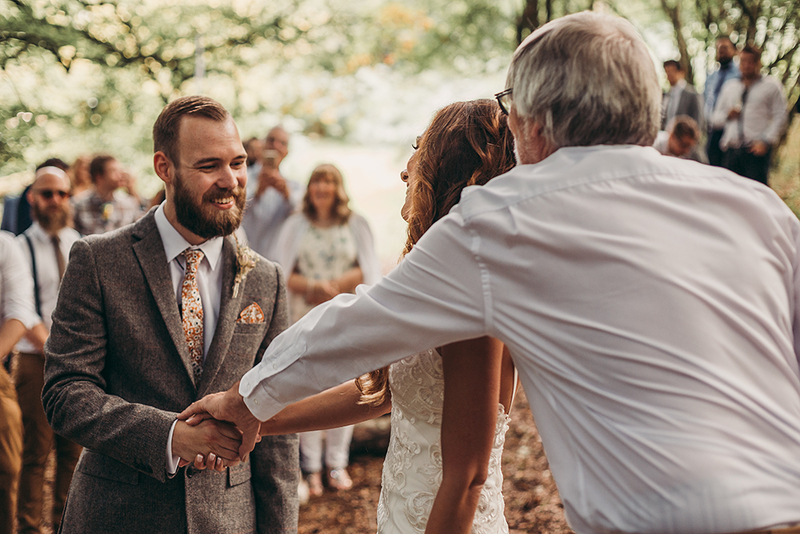 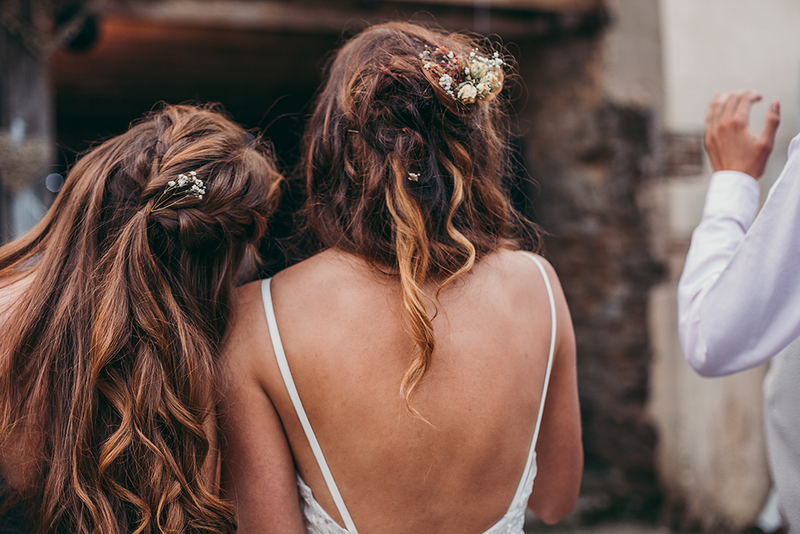 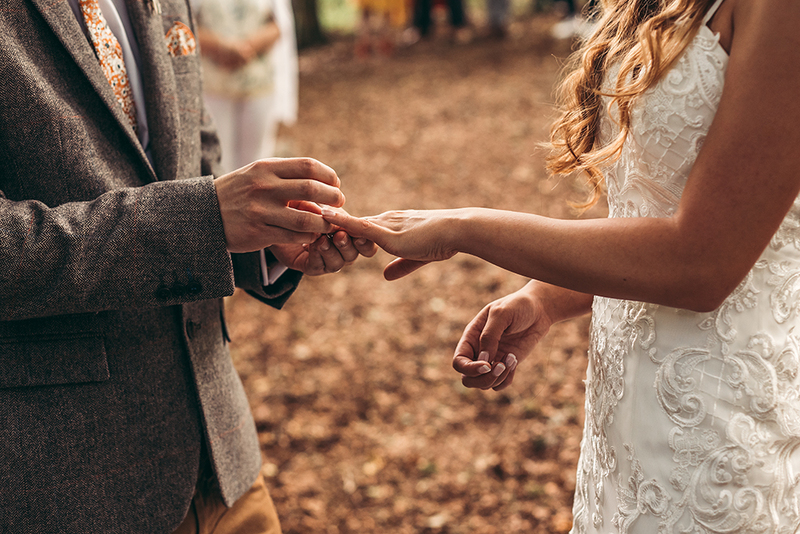 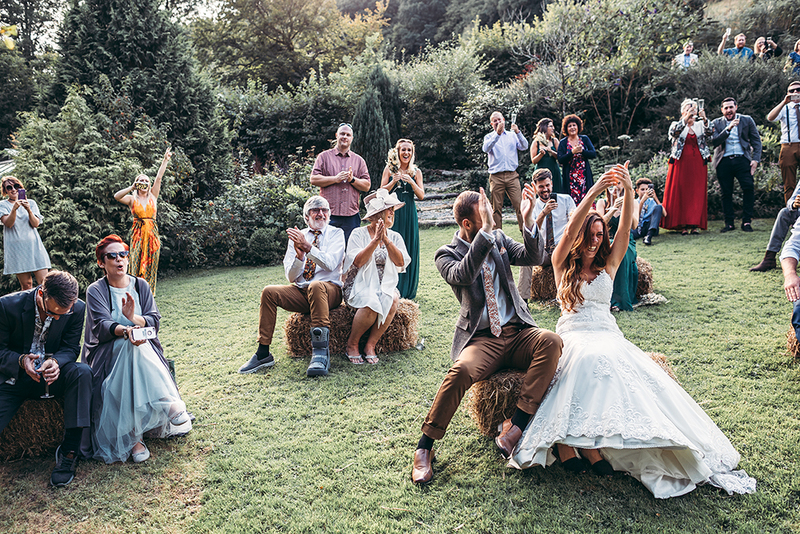 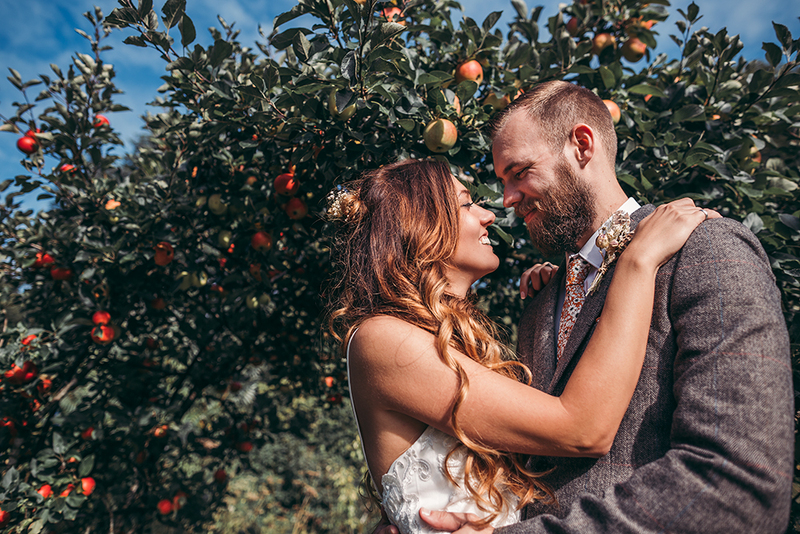 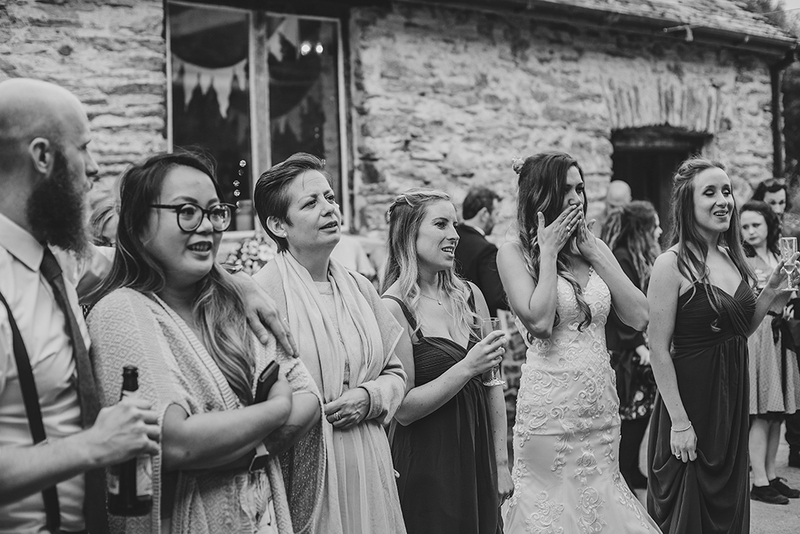 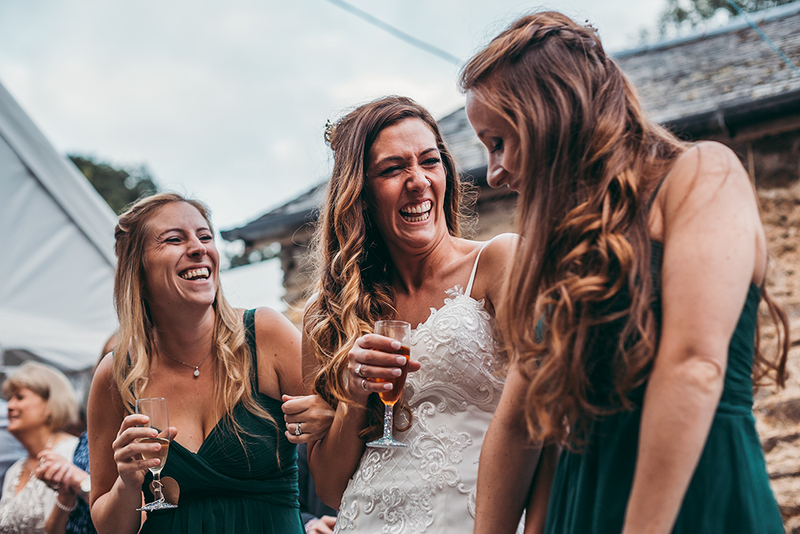 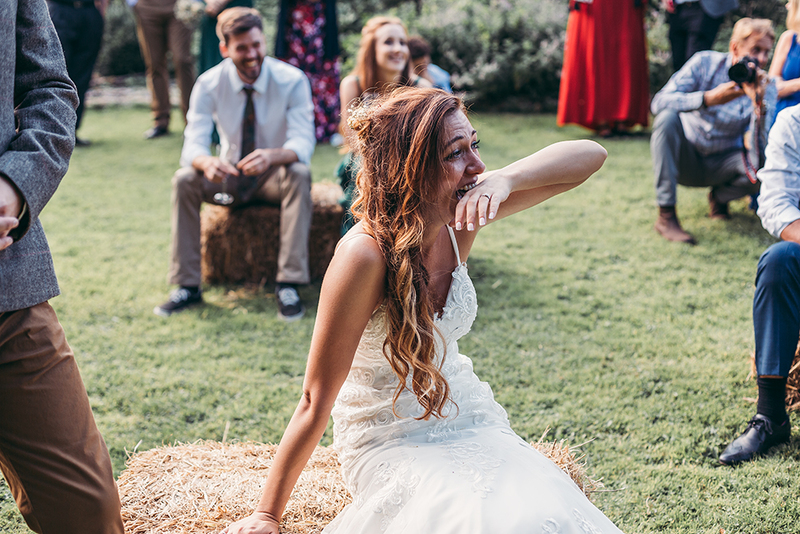 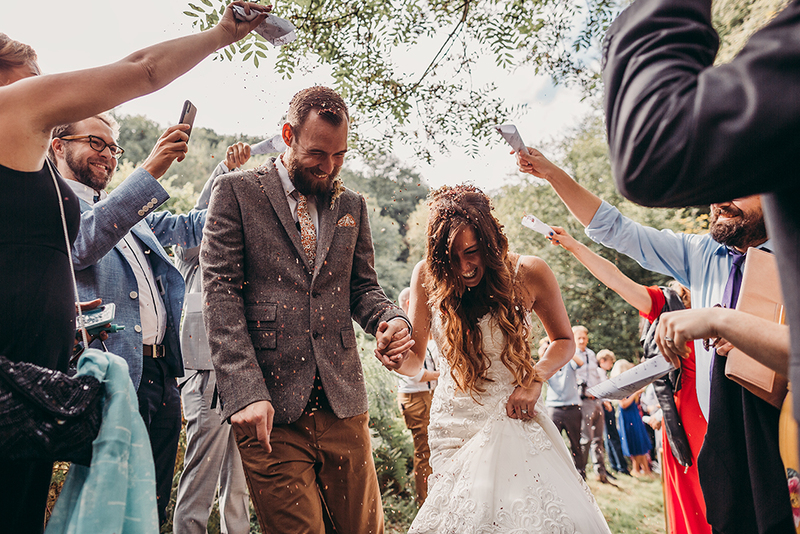 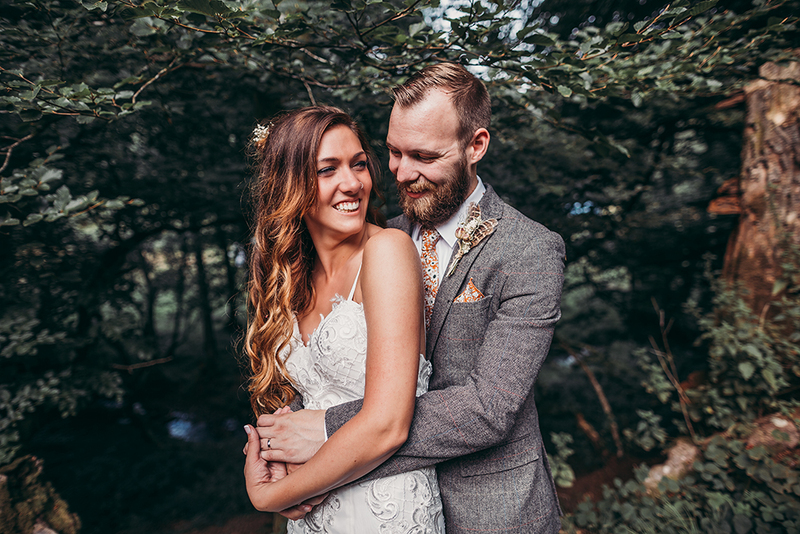 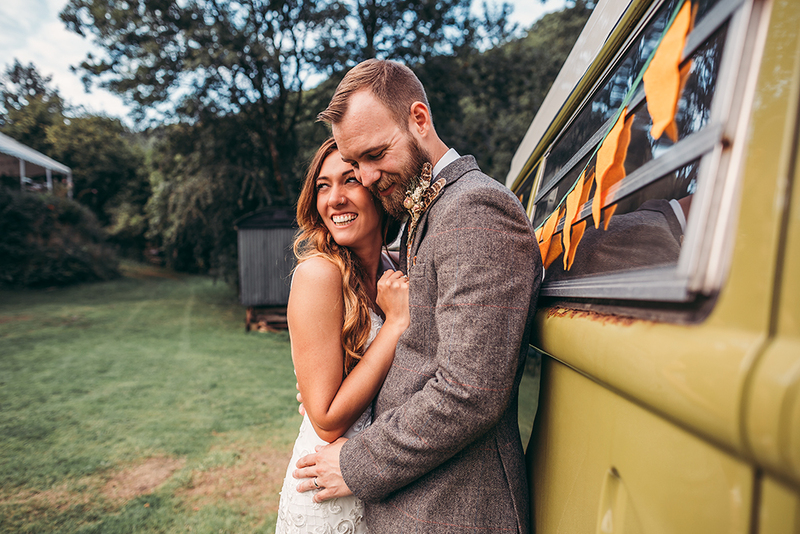 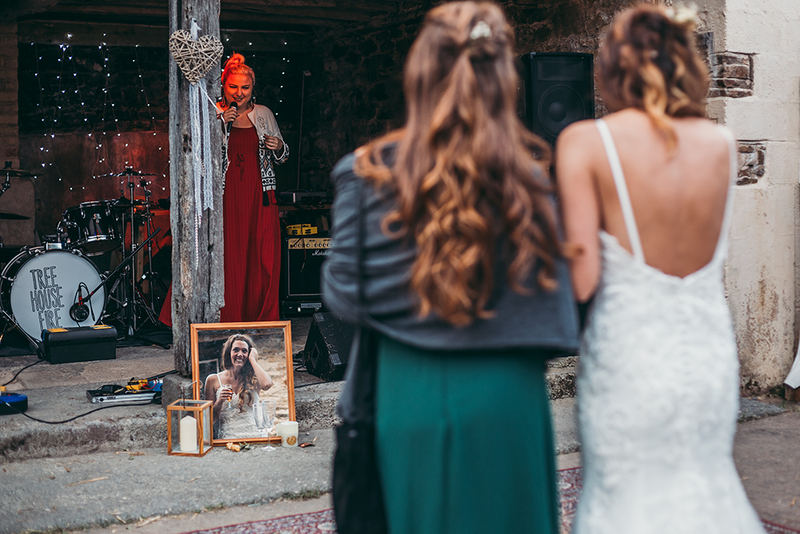 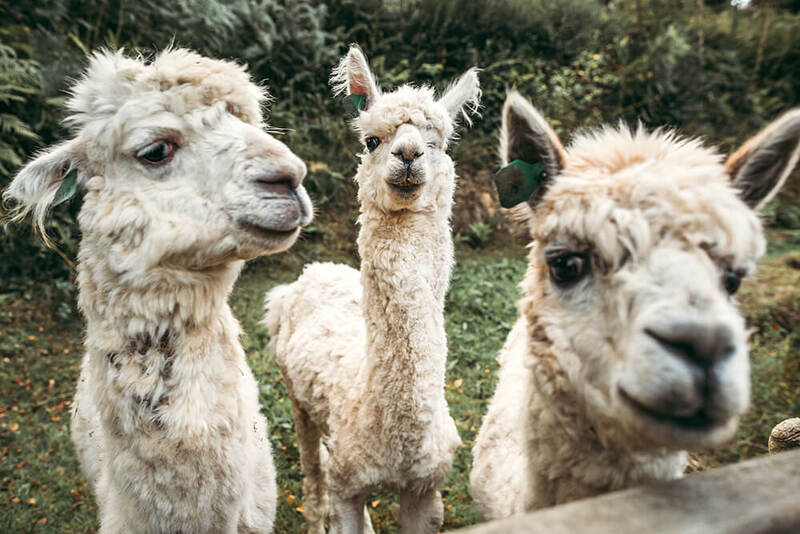 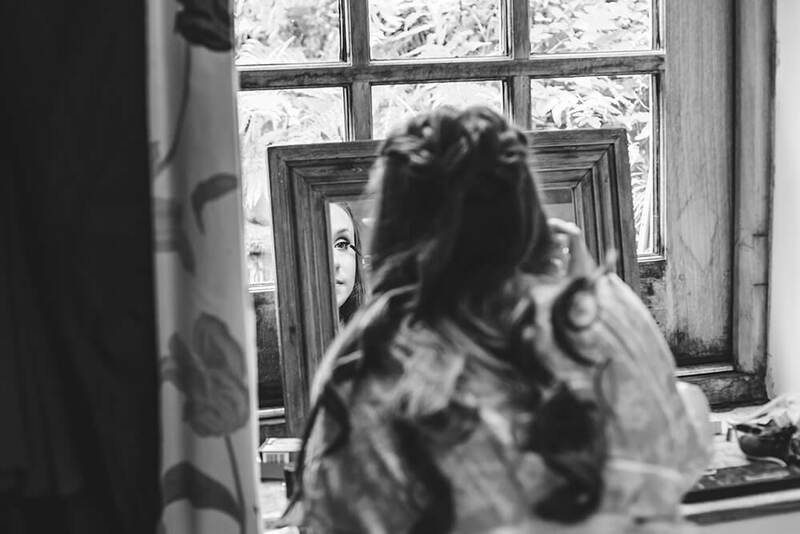 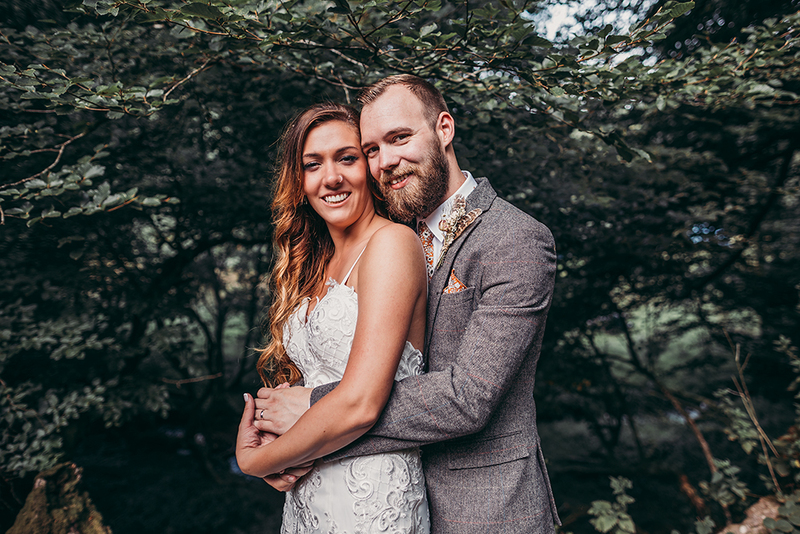 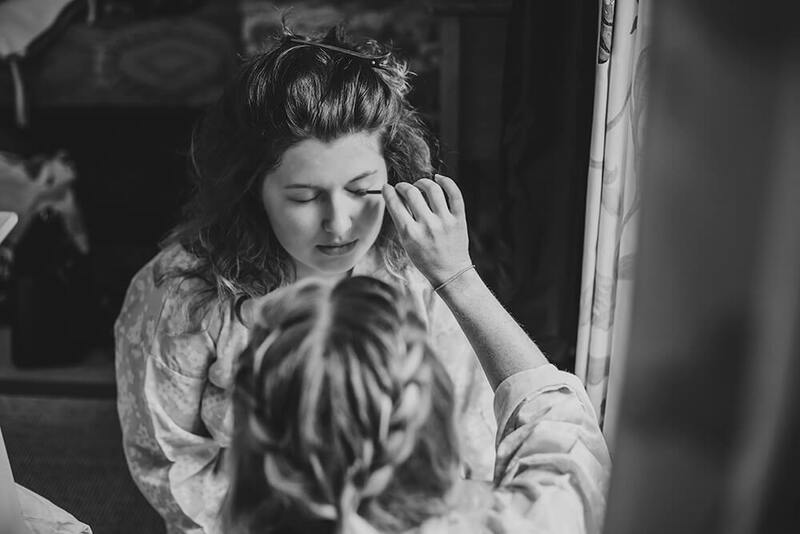 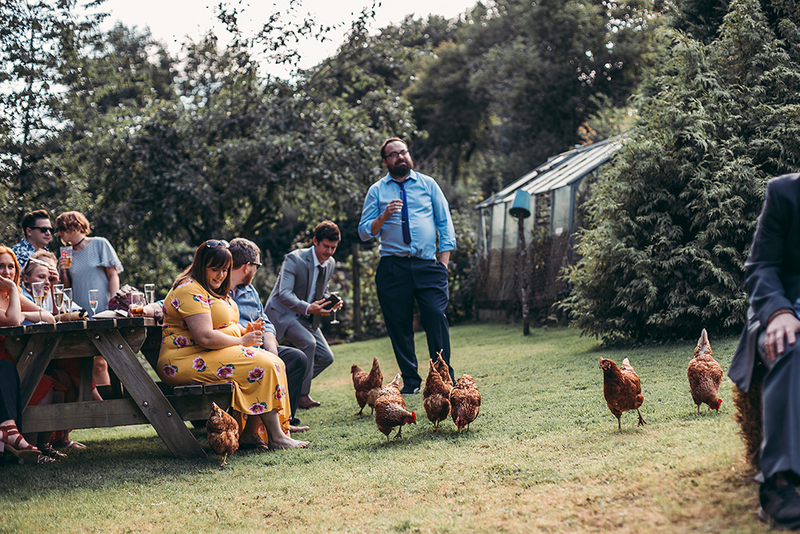 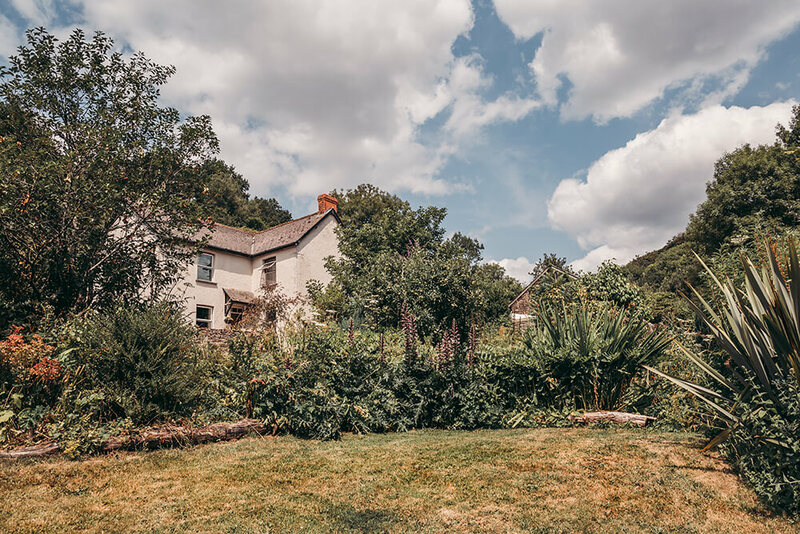 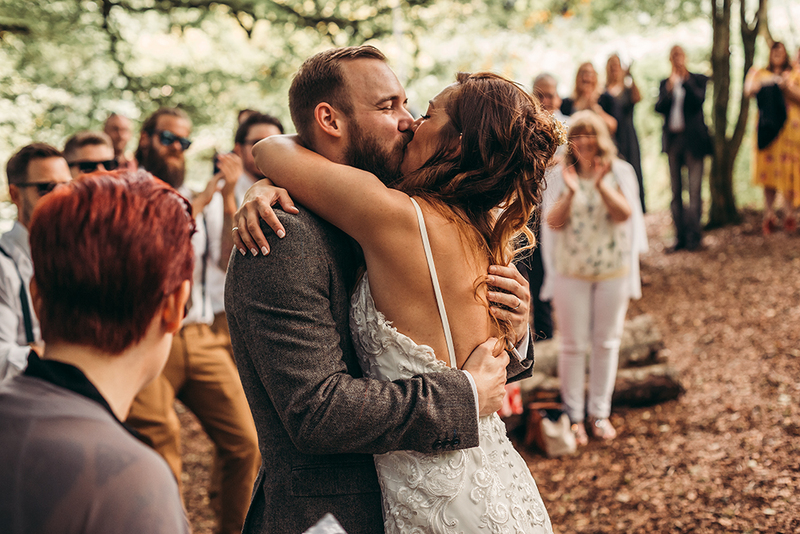 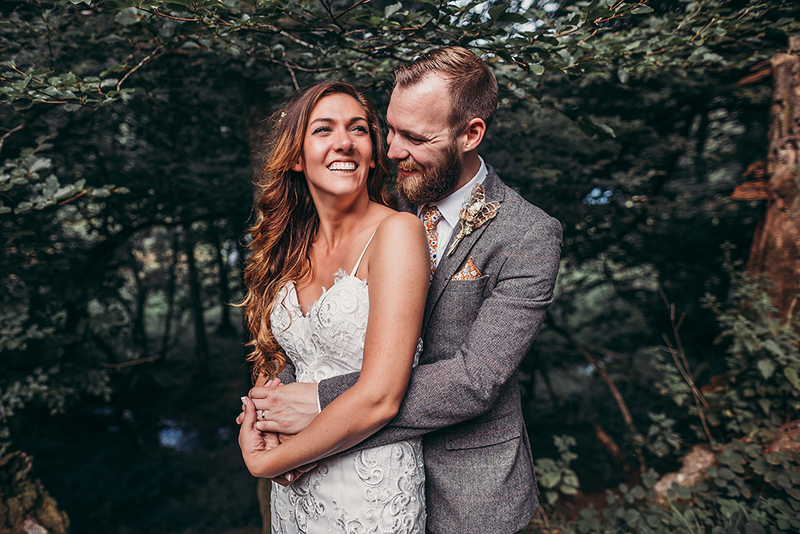 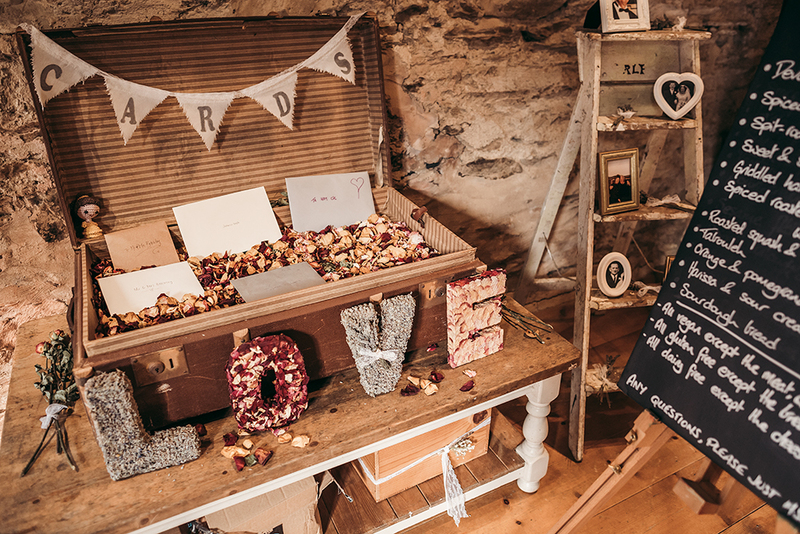 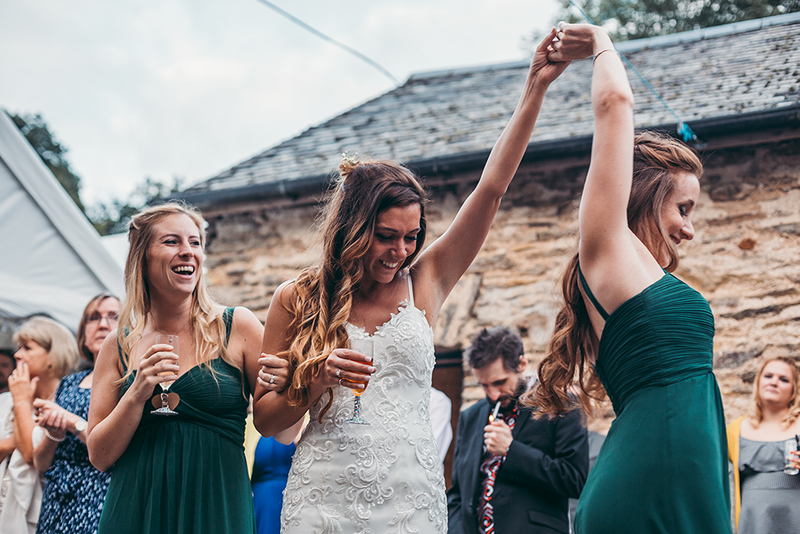 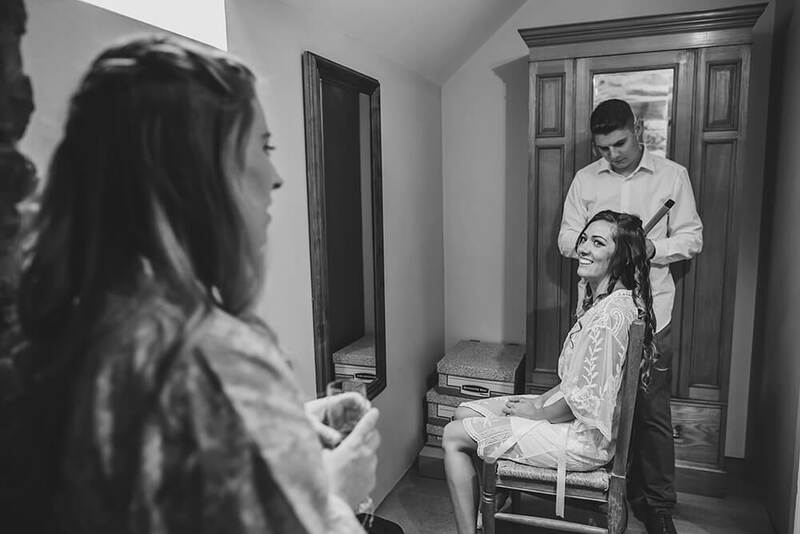 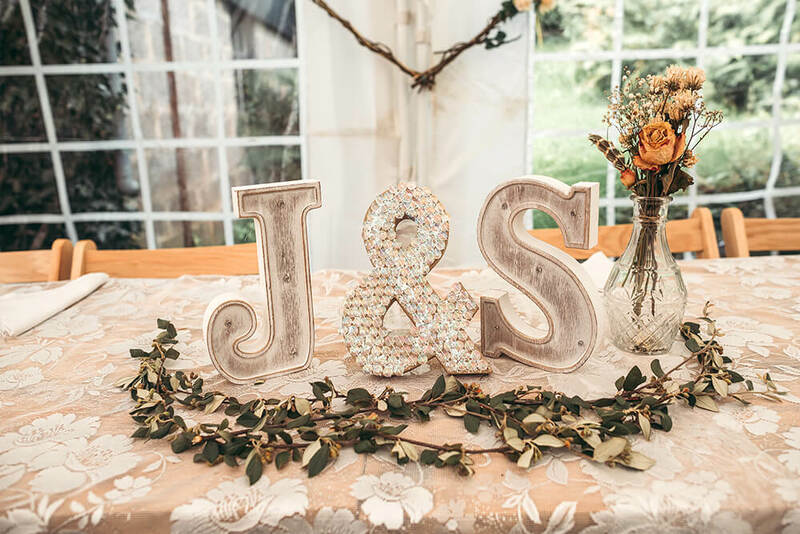 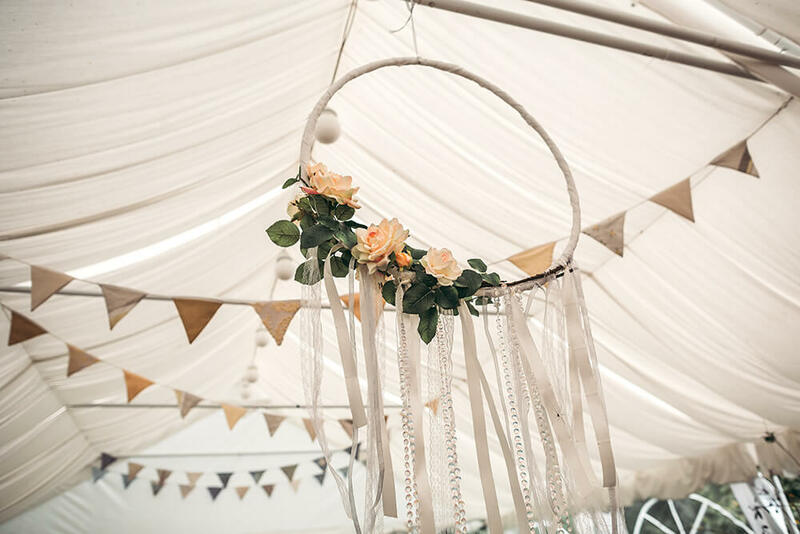 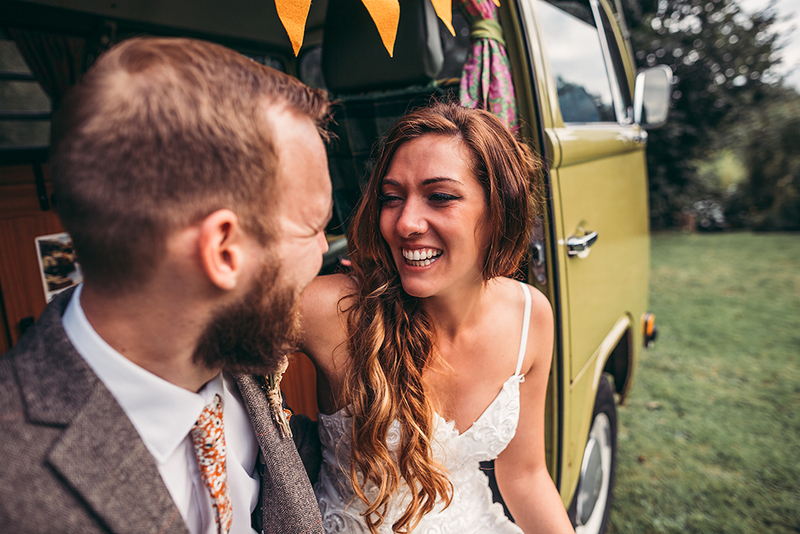 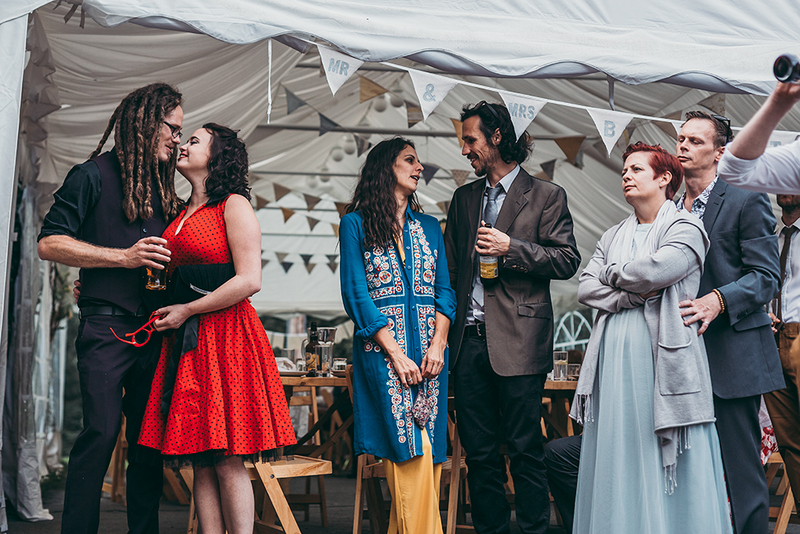 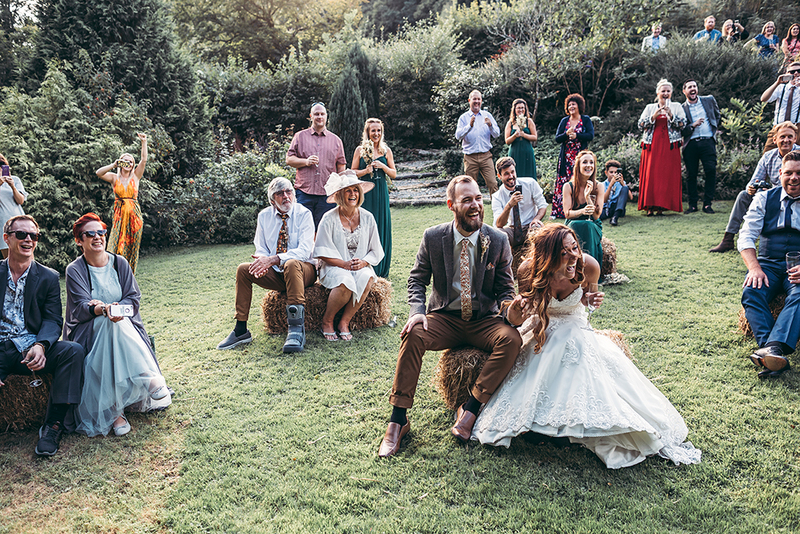 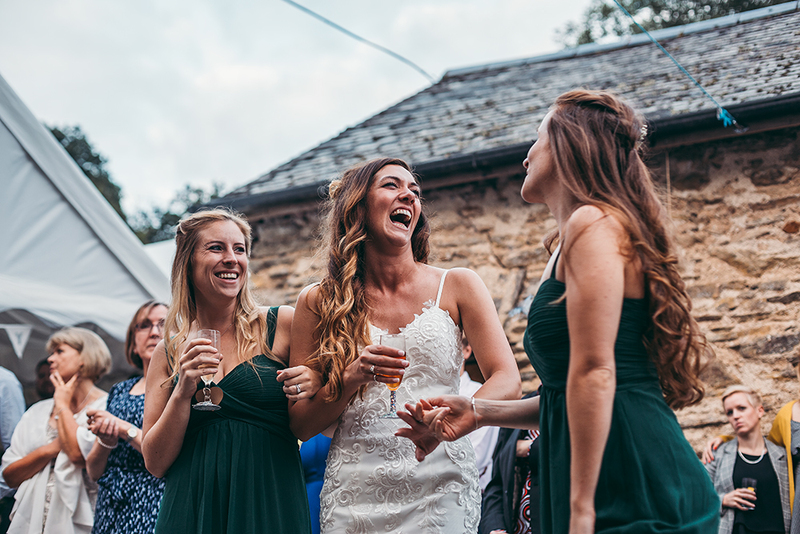 The couple had travelled from Egham (South East England) to North Devon with their family and friends to celebrate their marriage, having tied the knot legally at their home the day before. 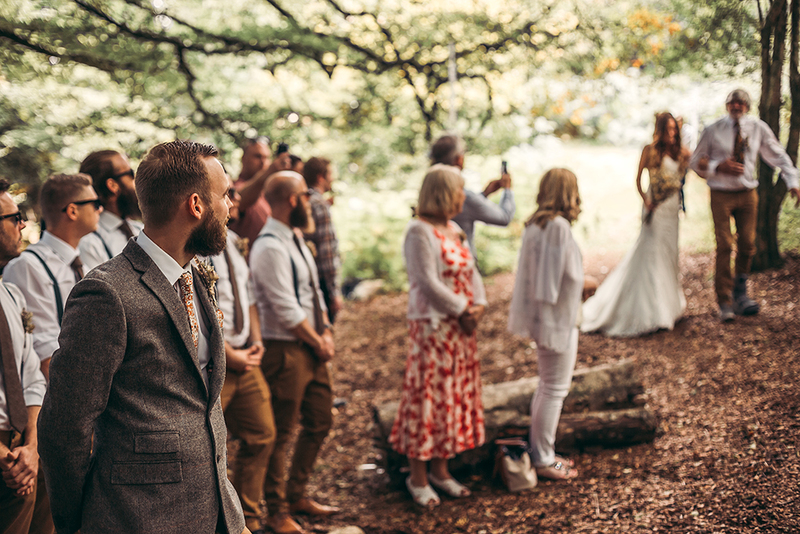 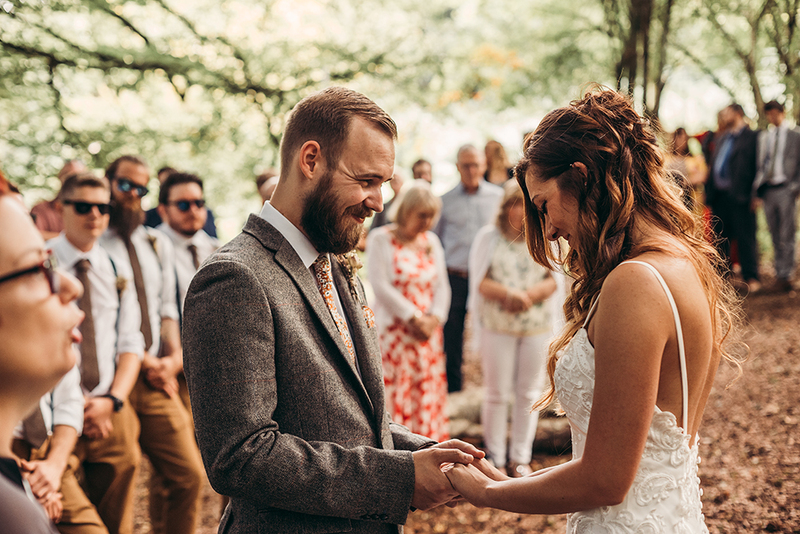 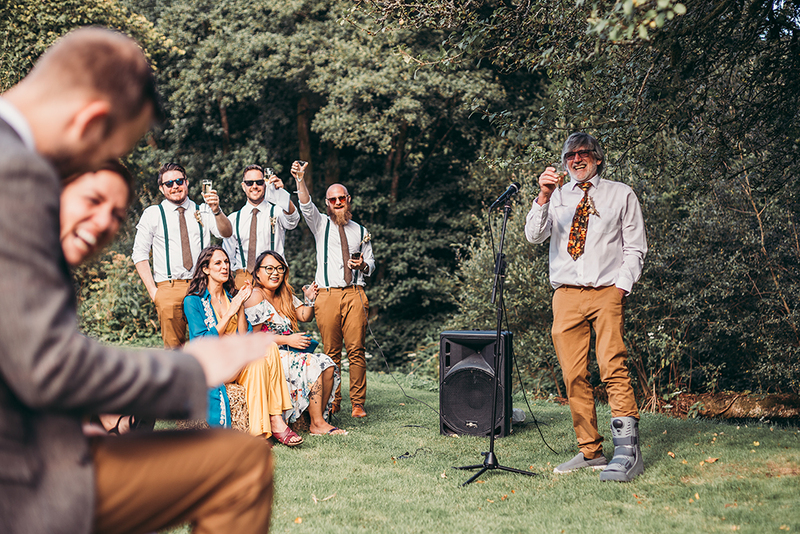 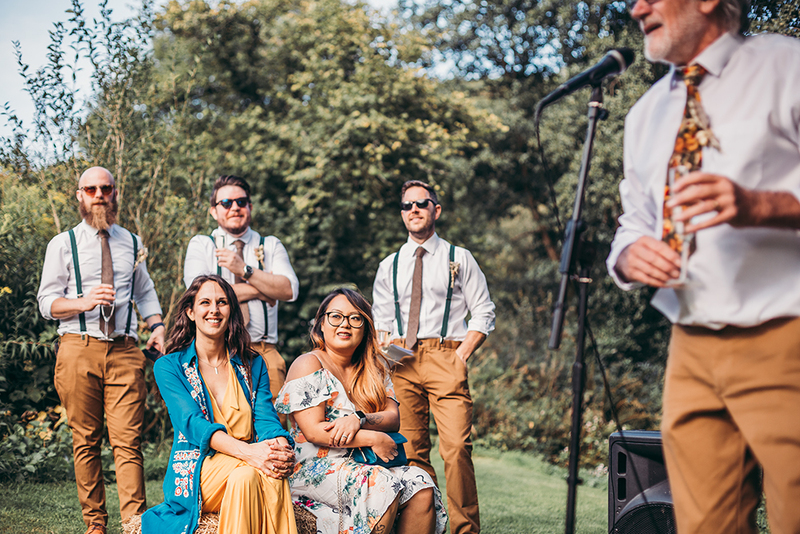 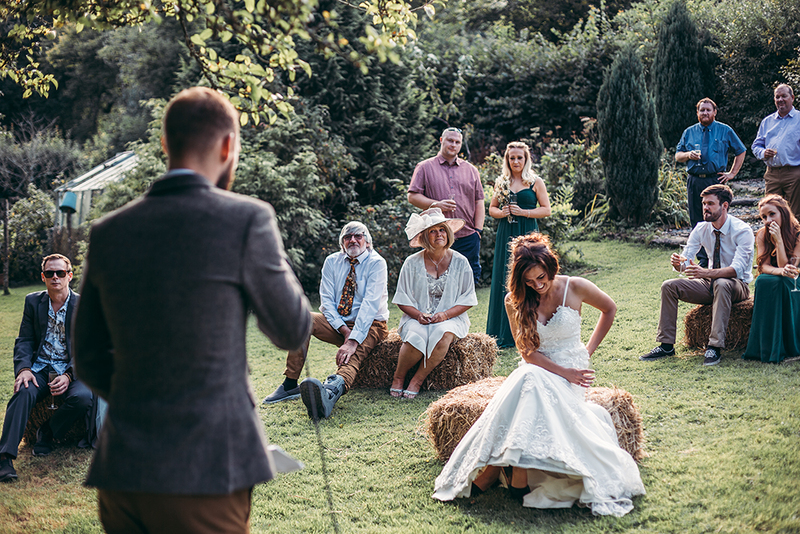 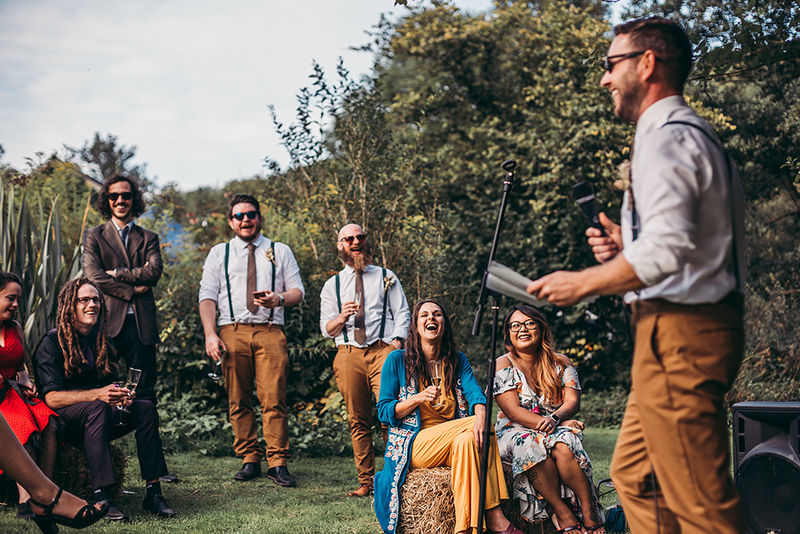 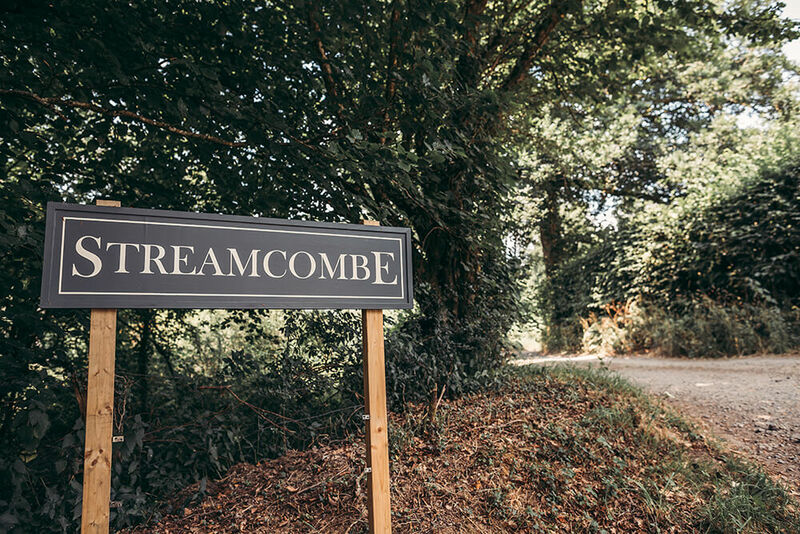 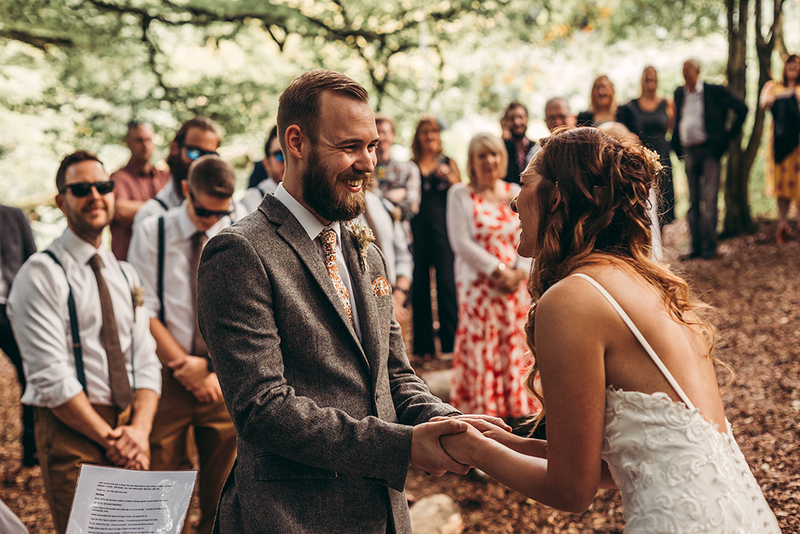 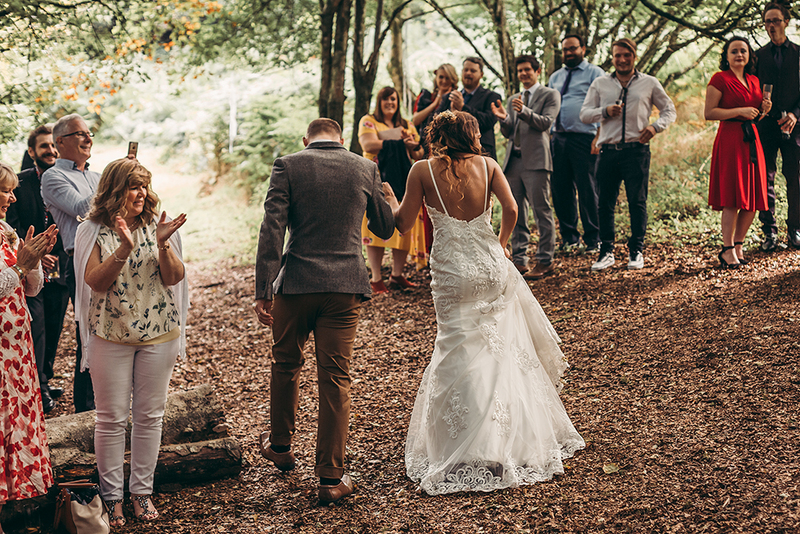 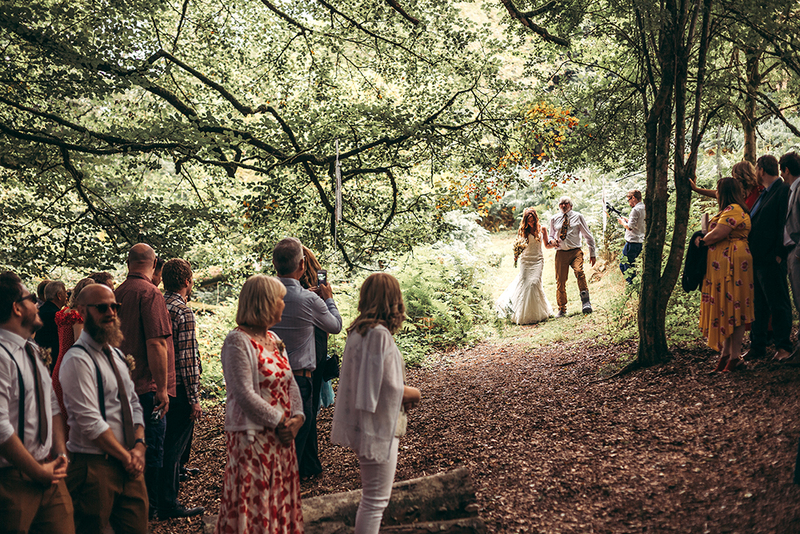 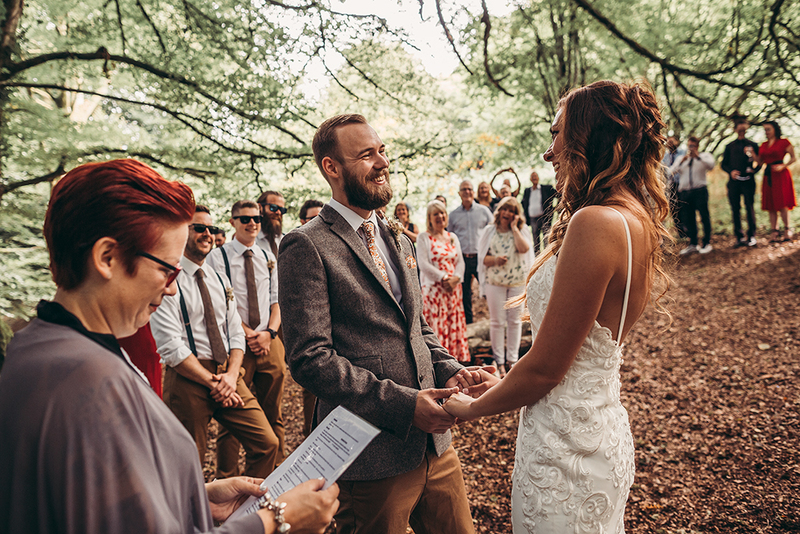 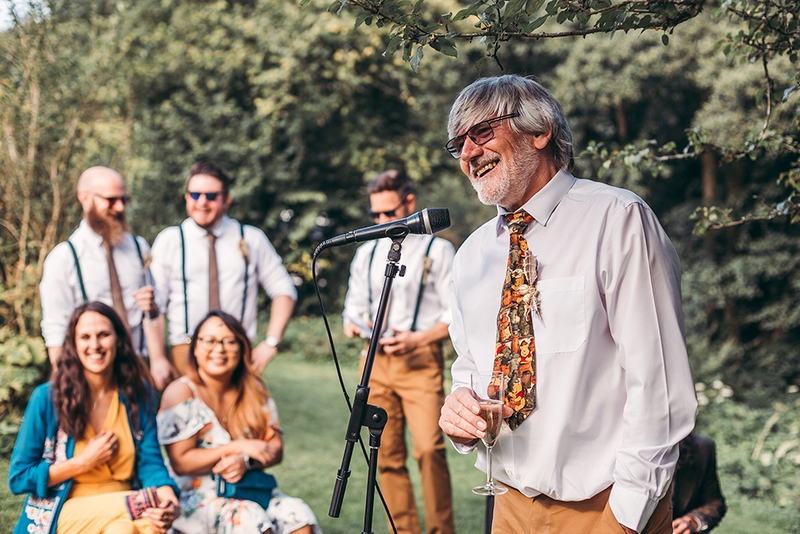 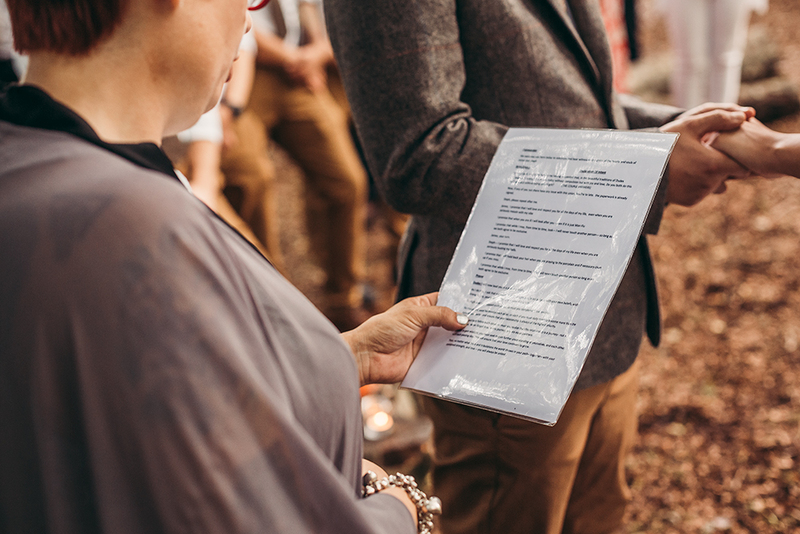 All the wedding guests gathered underneath a canopy of trees in the woodland of Streamcombe Farm to watch the happy couple recite their vows in an informal ceremony conducted by one of Steph’s good friends (who was also a celebrant). 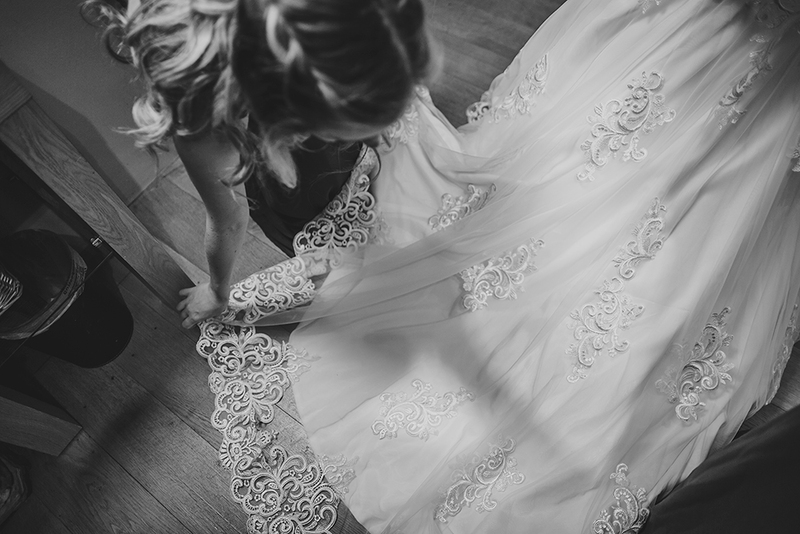 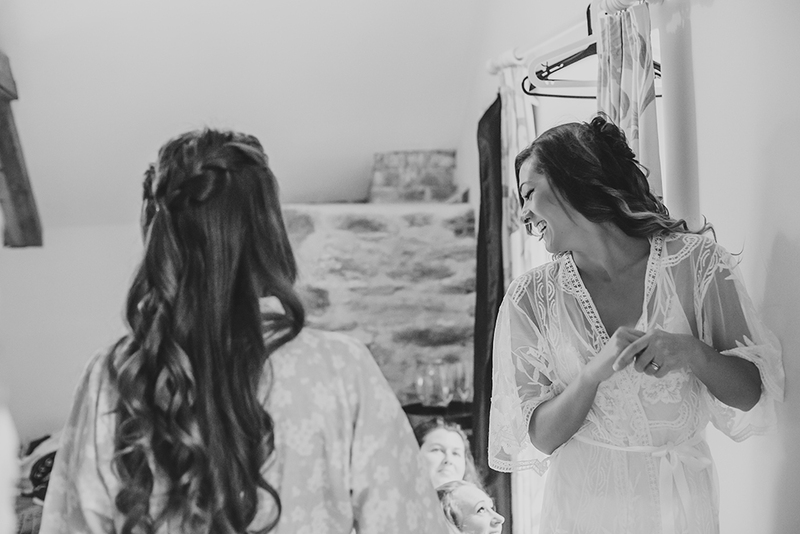 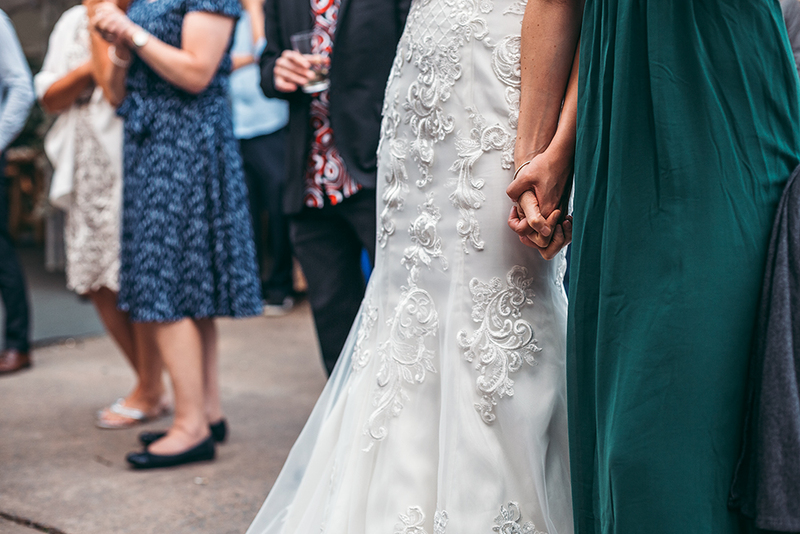 Steph wore a beautiful embroidered lace detail wedding dress, which had a sweetheart neckline and spaghetti straps. 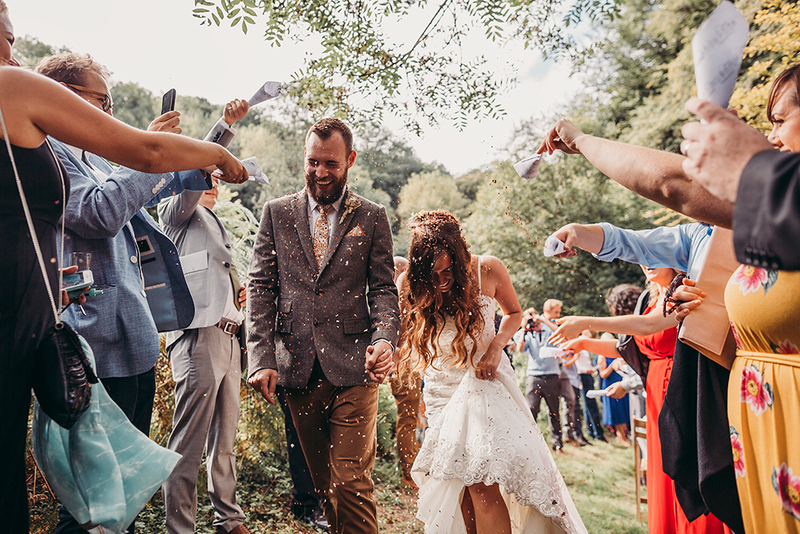 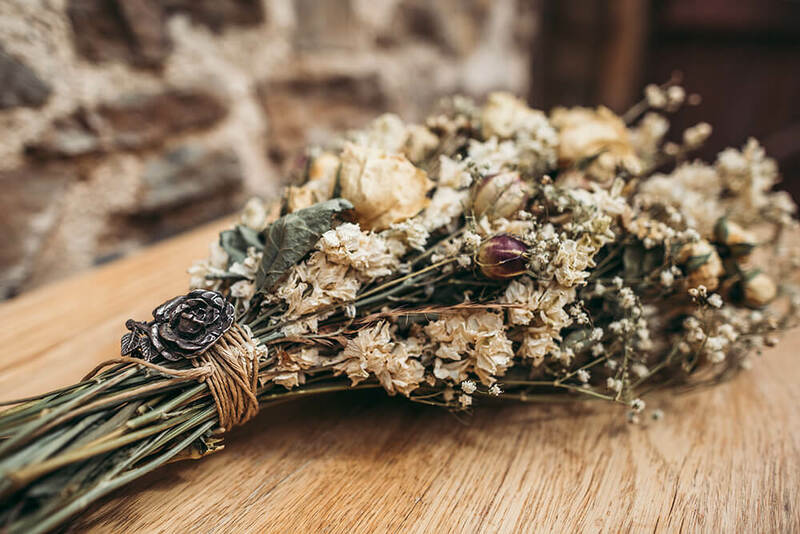 Her wedding flowers consisted of a bouquet of dried roses, Gypsophila and feathers, which Steph had carefully put together herself. 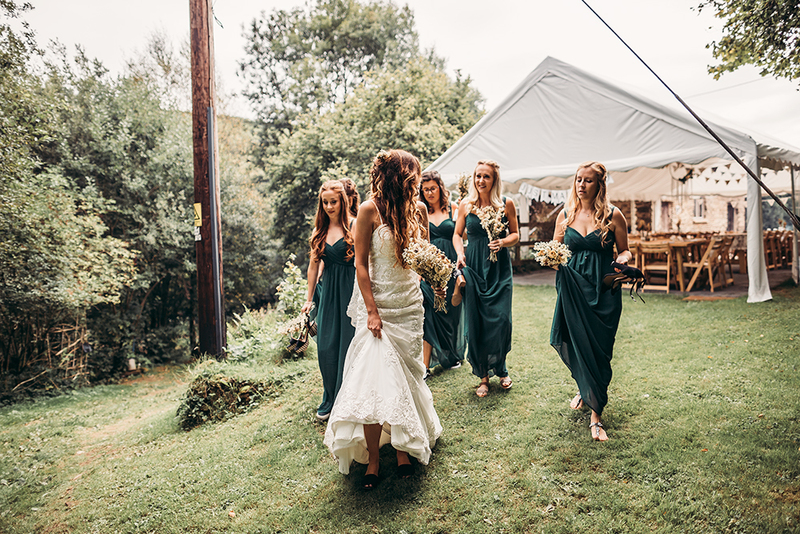 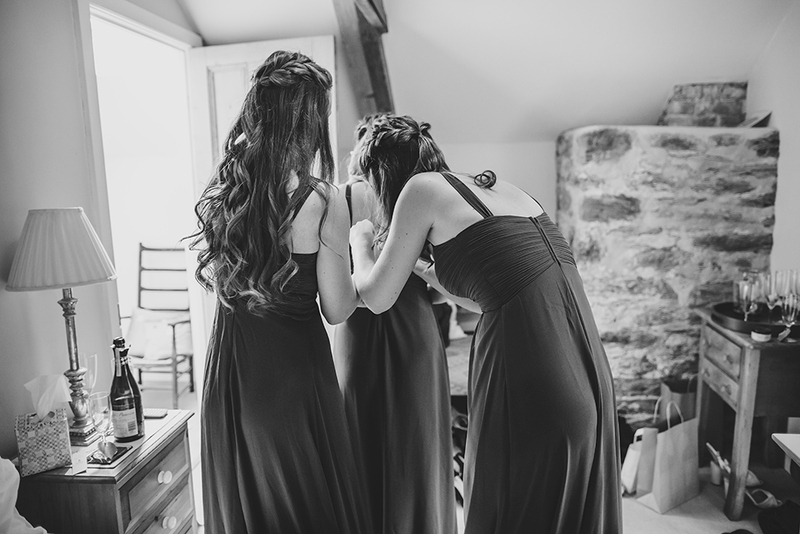 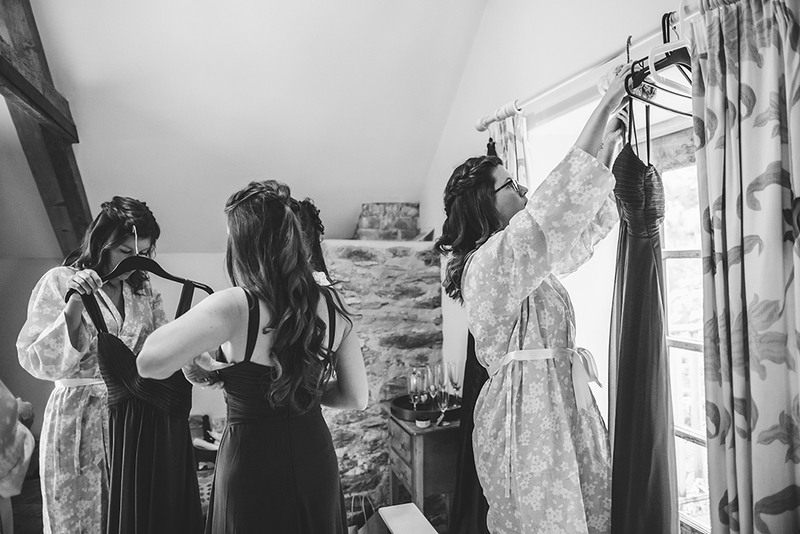 Steph’s bridesmaids wore floor length dark forest green chiffon dresses and held smaller bouquets identical to the bridal bouquet. 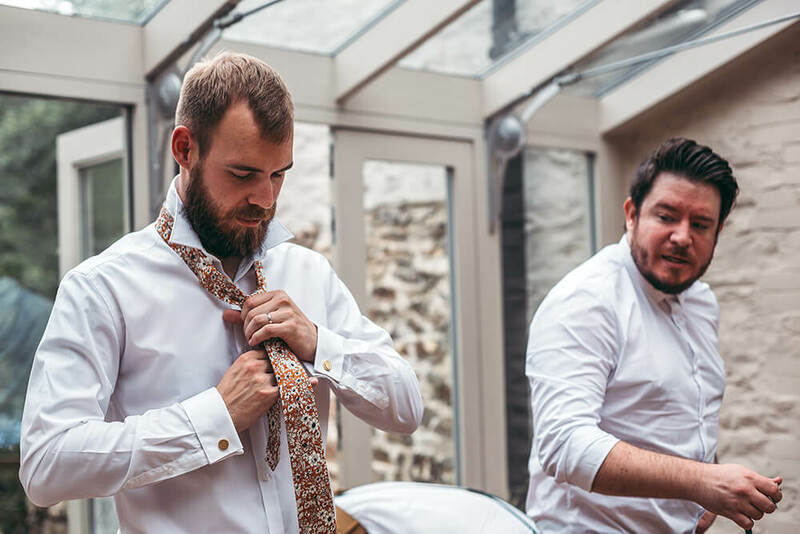 James looked dapper in a grey tweed suit jacket, brown trousers and a floral patterned orange tie with a matching hankerchief. 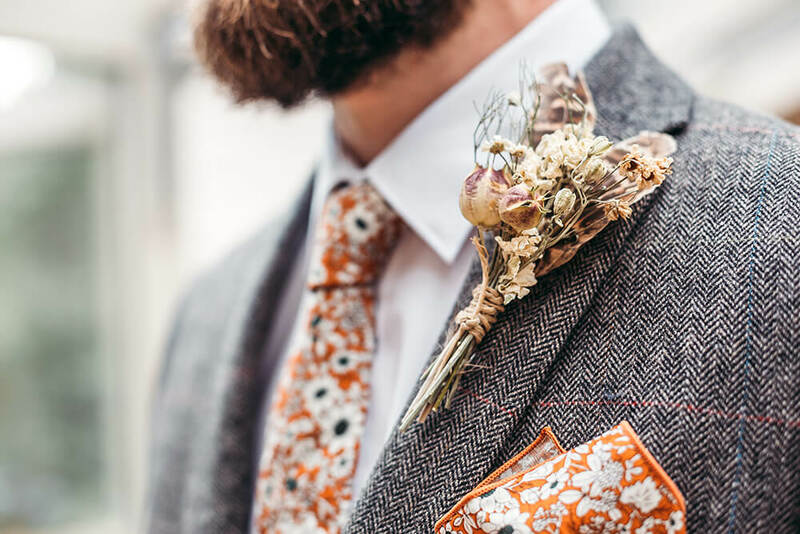 His buttonhole was also made up of dried flowers and feathers. 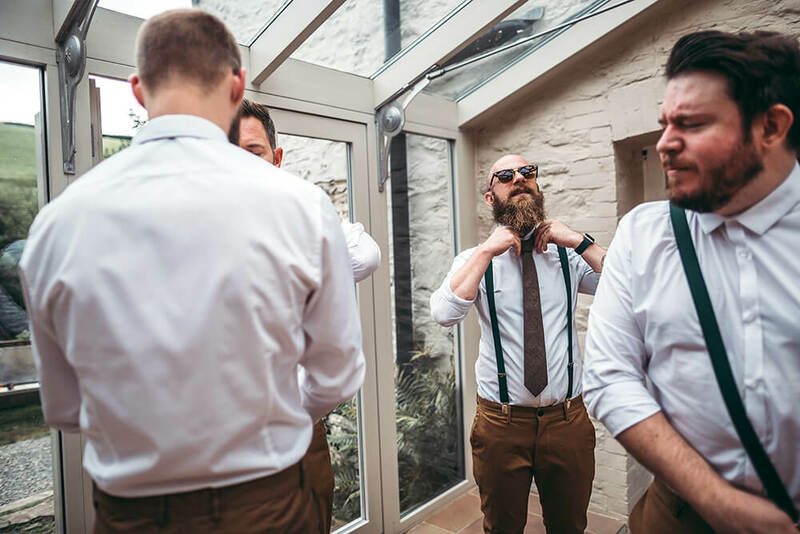 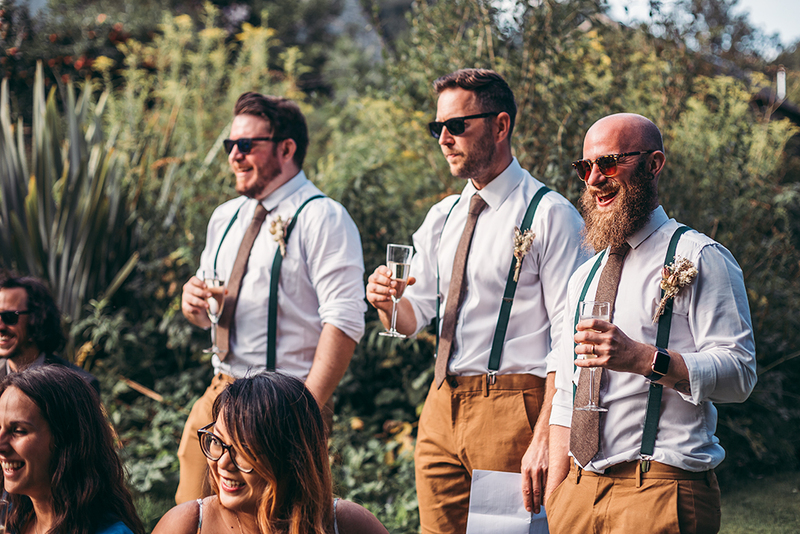 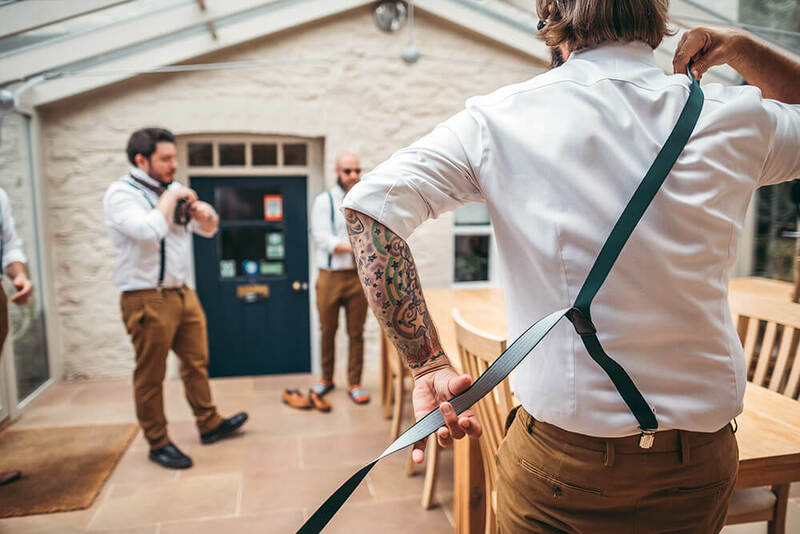 His groomsmen all wore matching trousers with dark forest green braces to match the bridesmaid’s dresses. 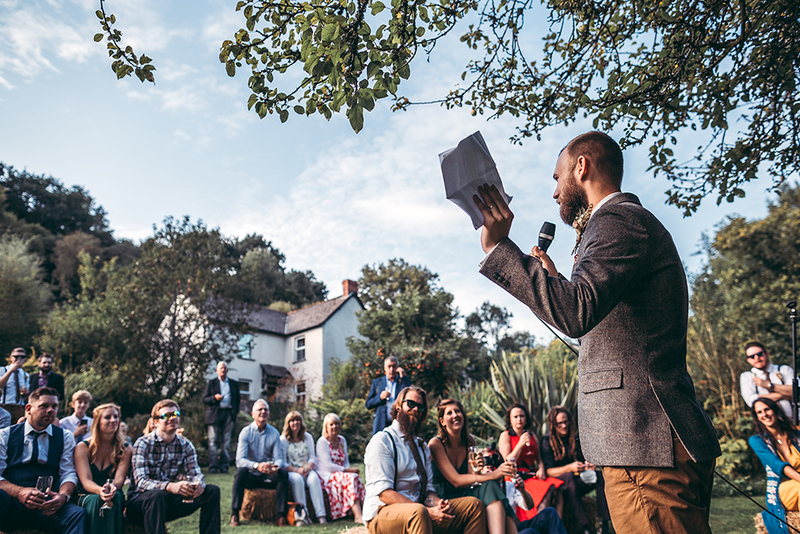 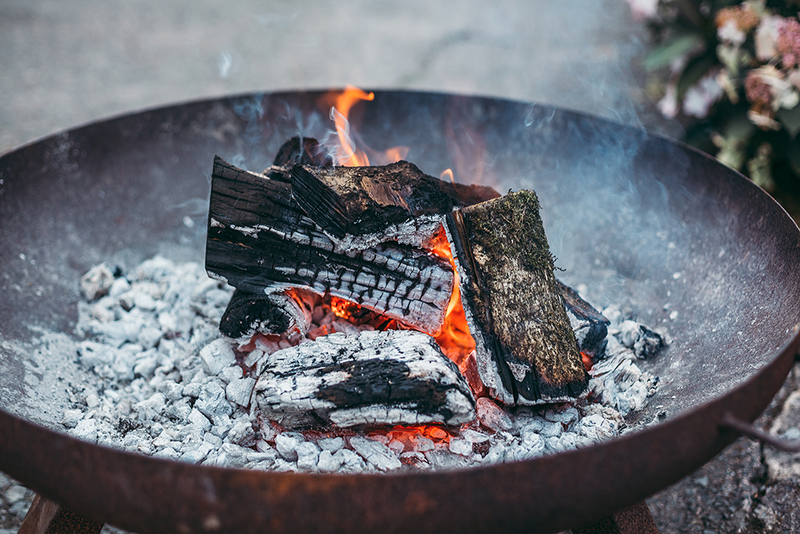 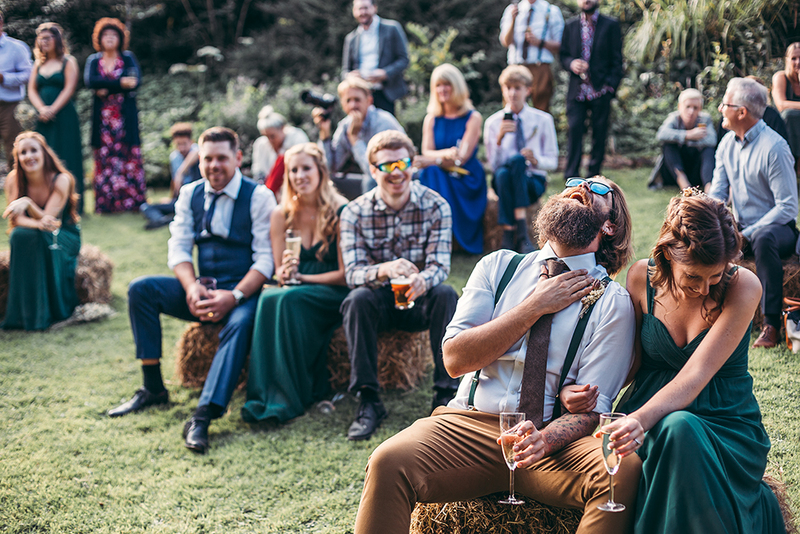 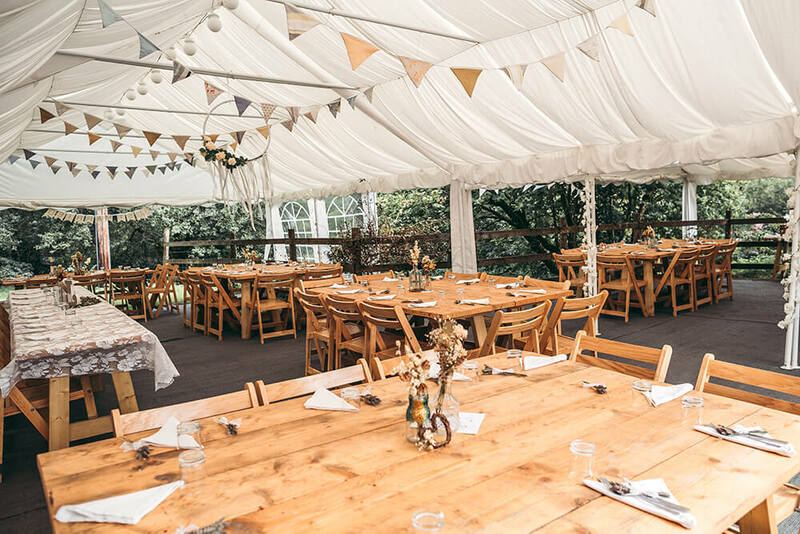 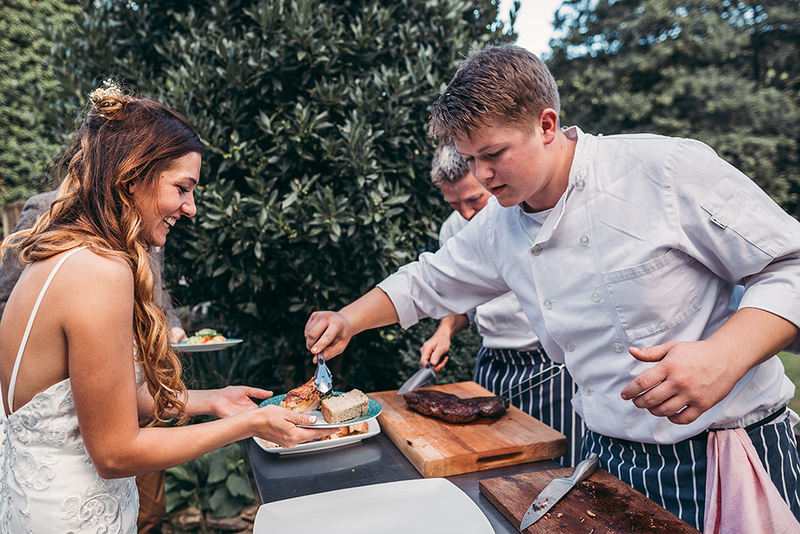 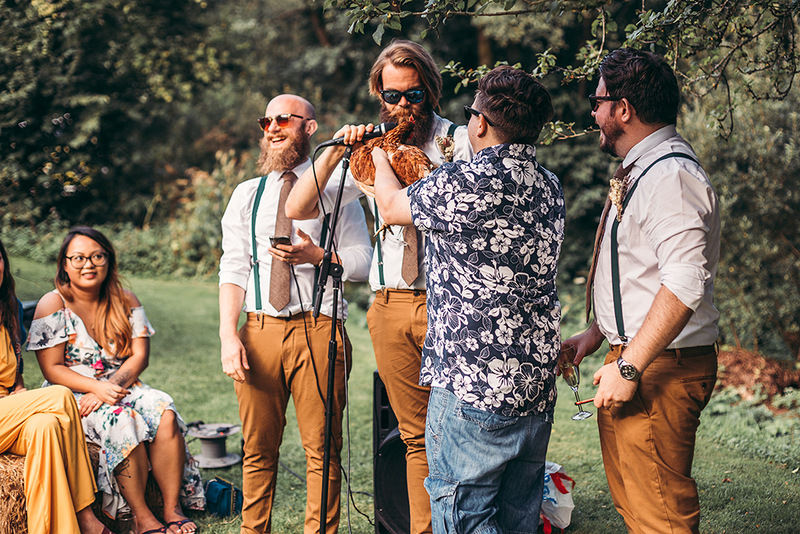 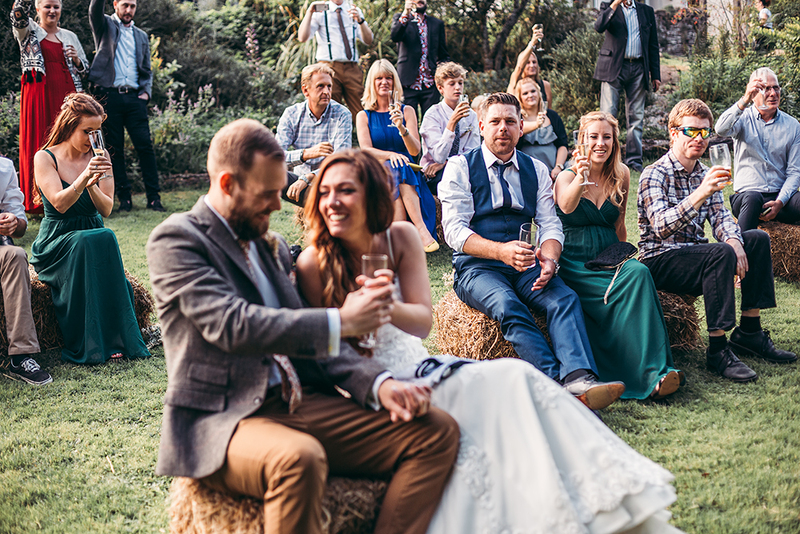 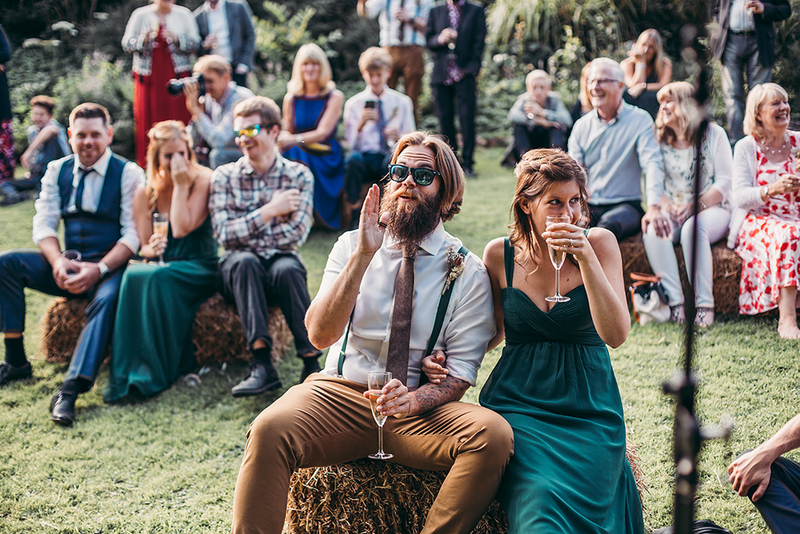 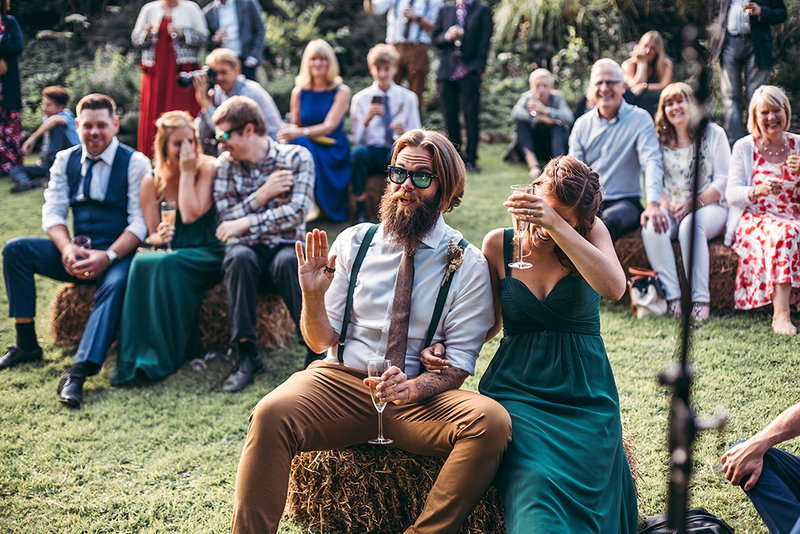 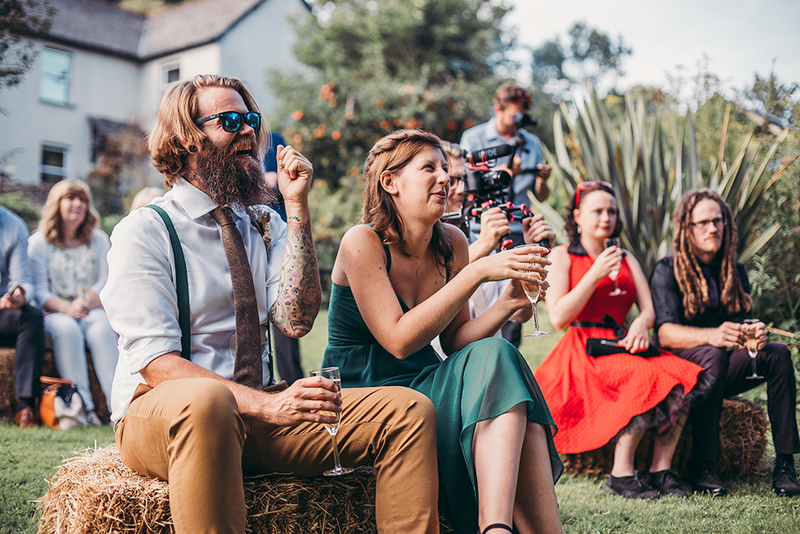 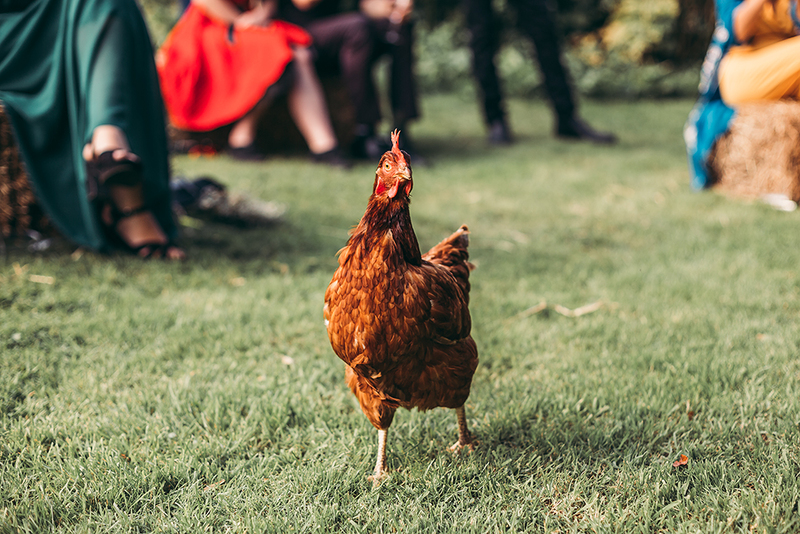 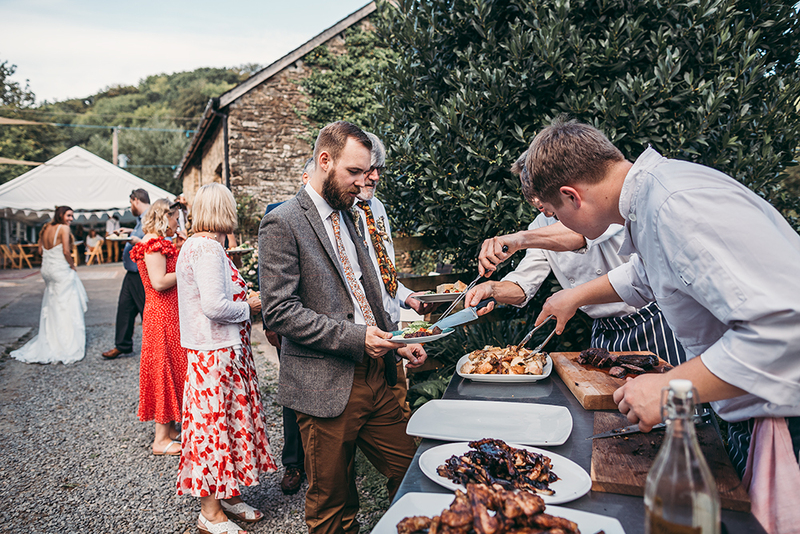 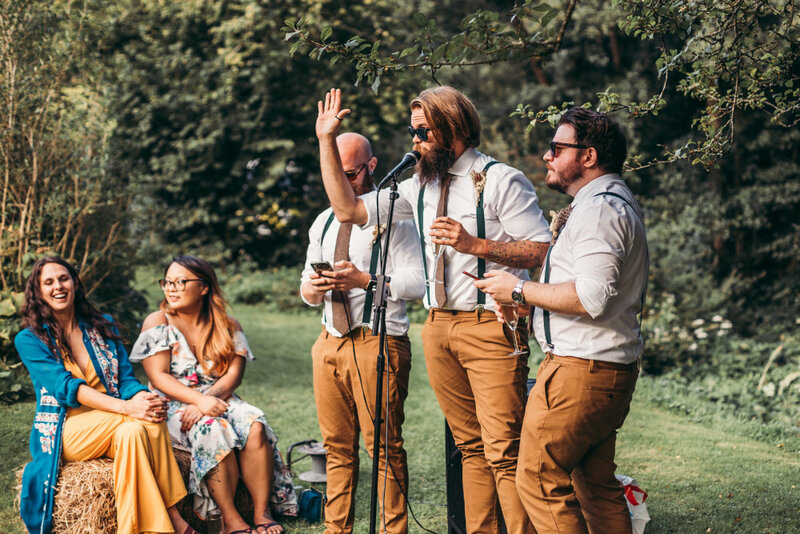 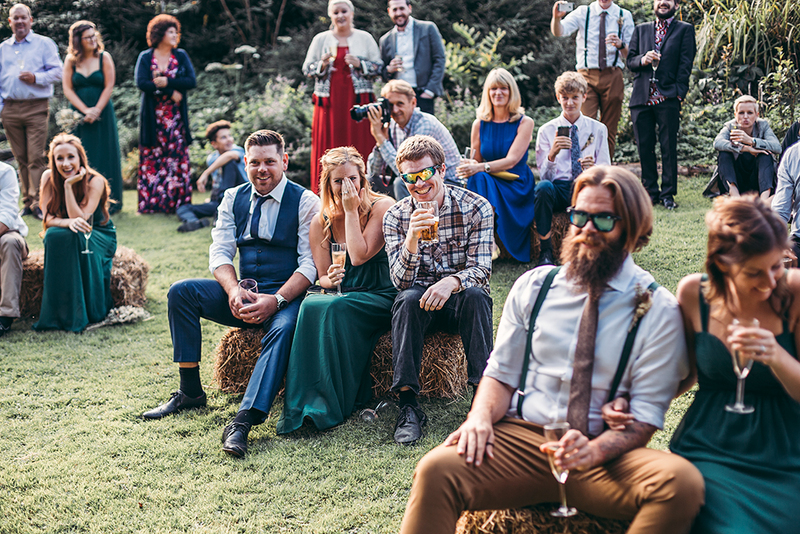 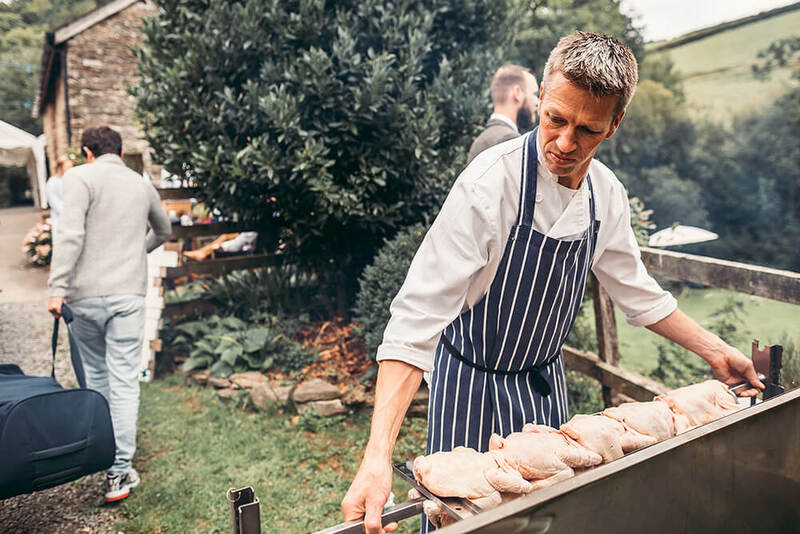 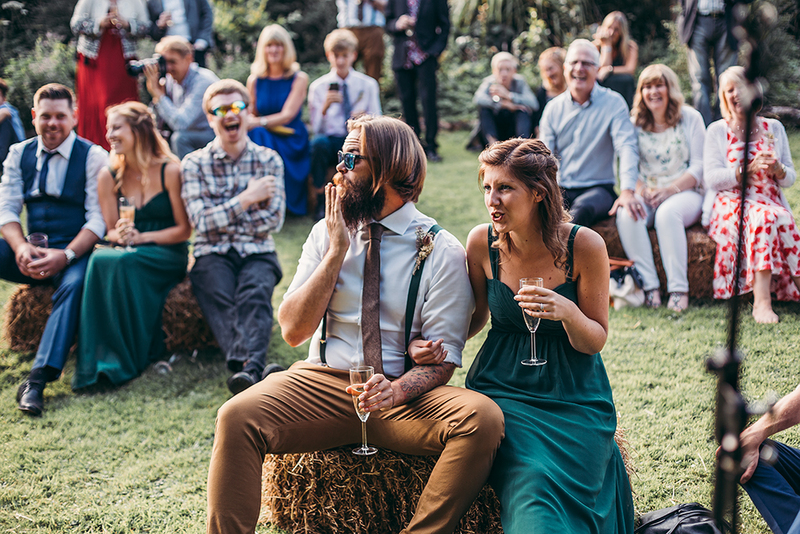 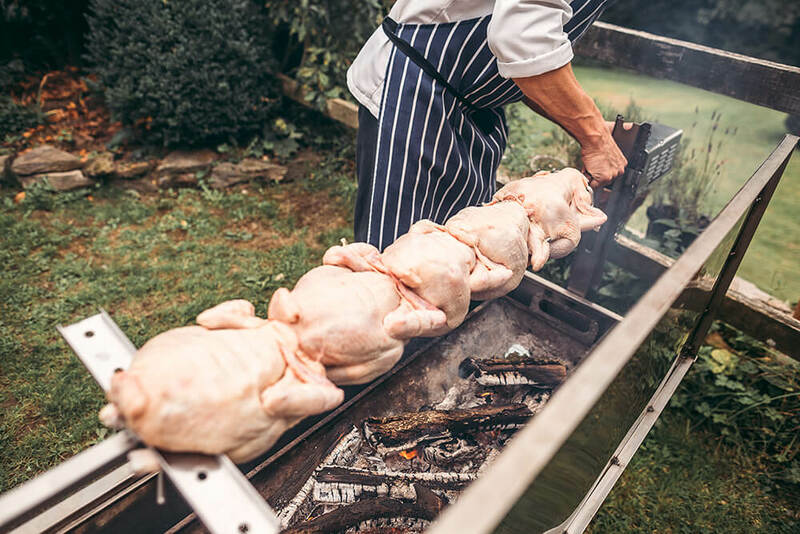 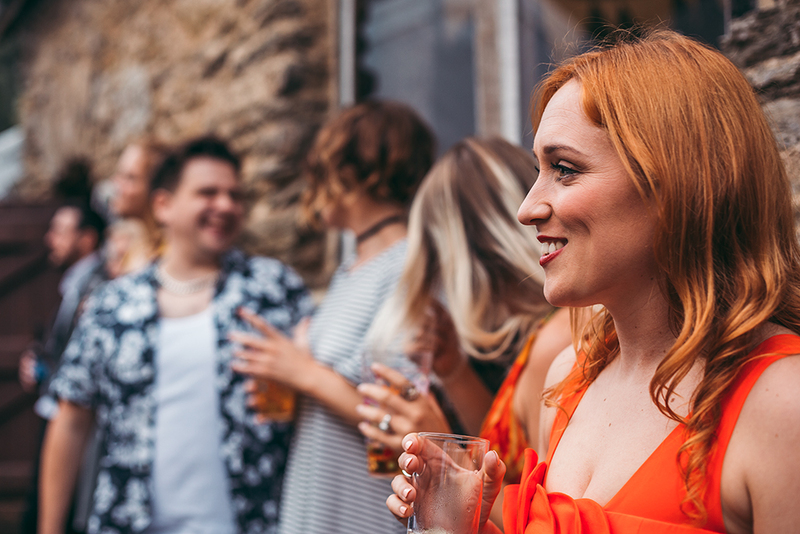 After the ceremony, all the wedding guests enjoyed drinks in the garden whilst watching the speeches and shortly afterwards, a luxury BBQ was served. 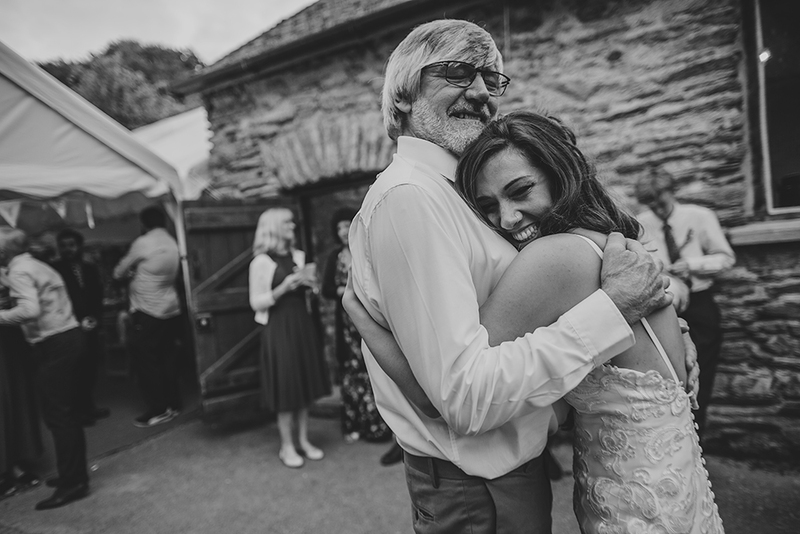 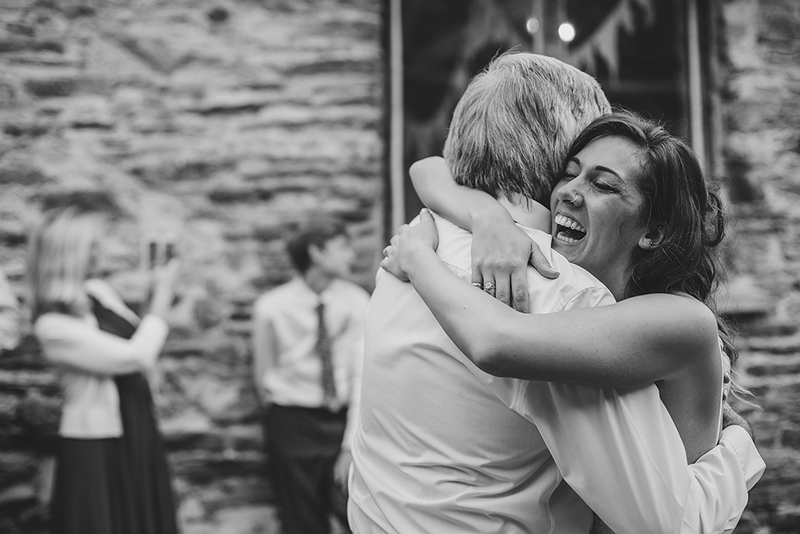 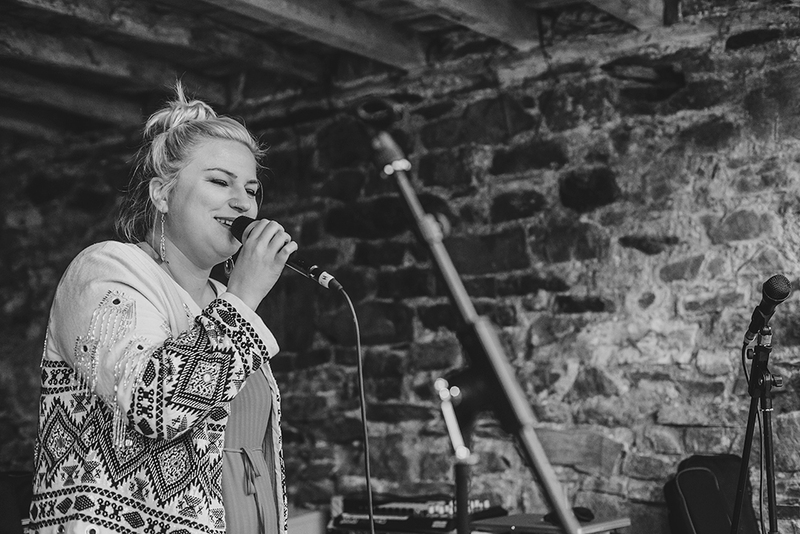 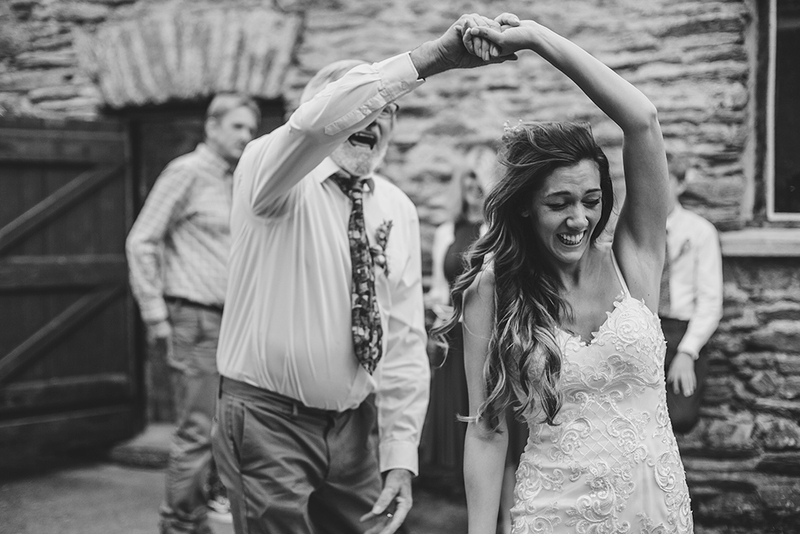 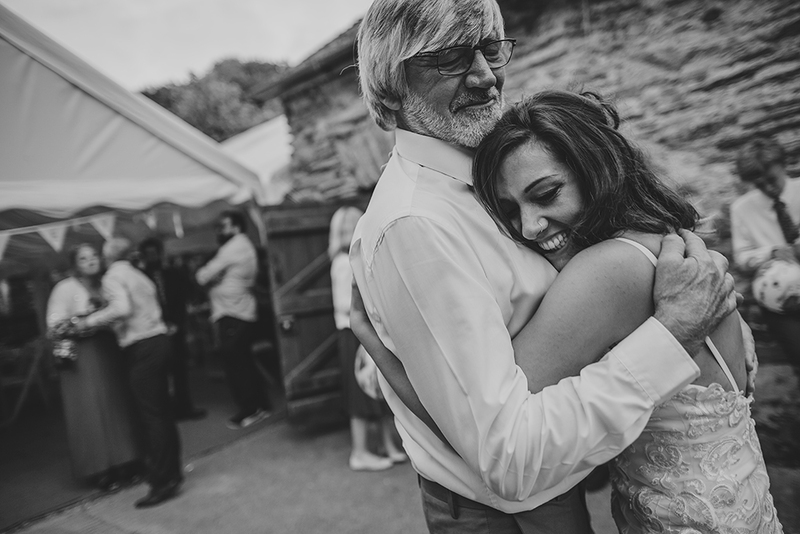 In the evening, one of the couple’s good friends sang to them all and rather than a traditional first dance, Steph and her father took centre stage. 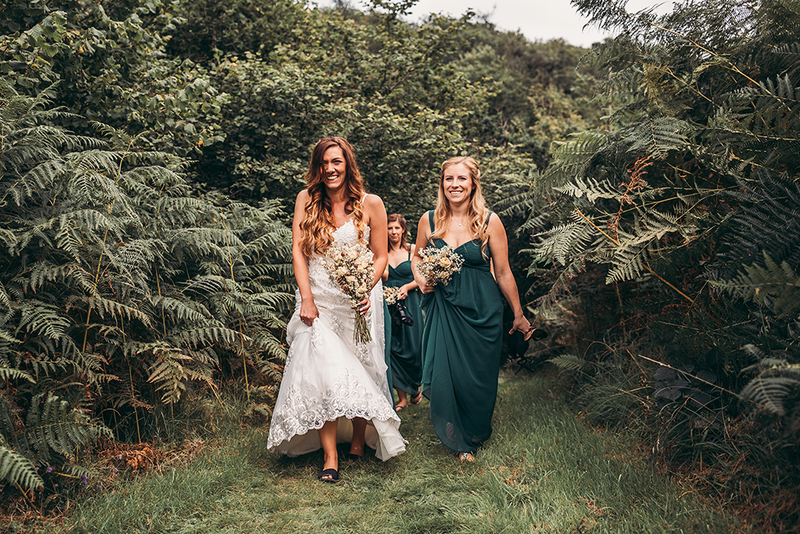 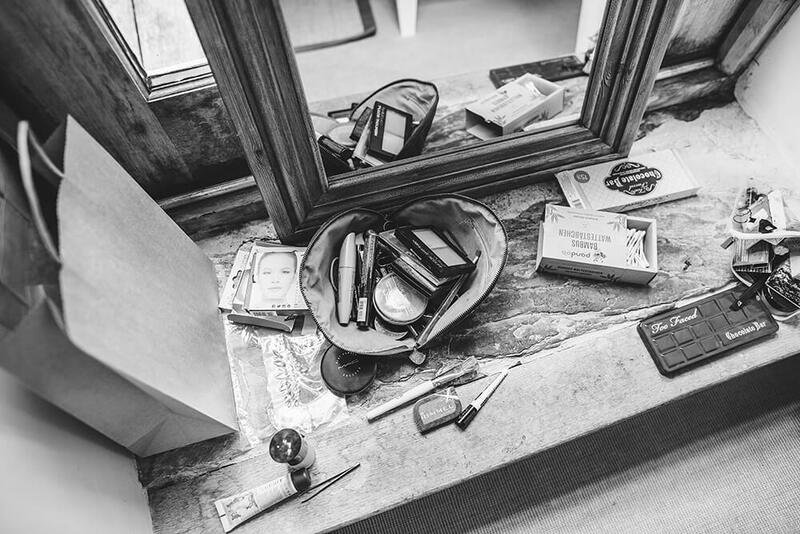 If you are looking for a wedding photographer in either Devon or Cornwall to capture your wedding day, my 2019 diary is filling up fast. 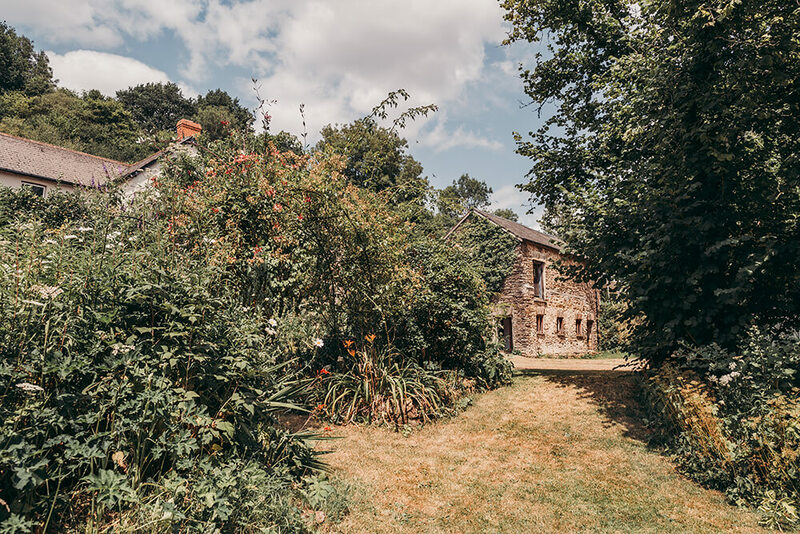 Please contact me to check availability and also the latest offers. 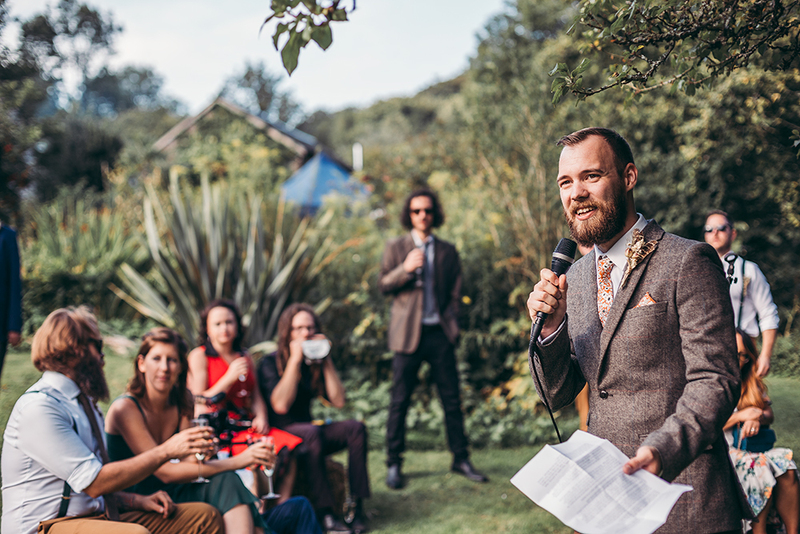 I shall look forward to hearing from you soon.